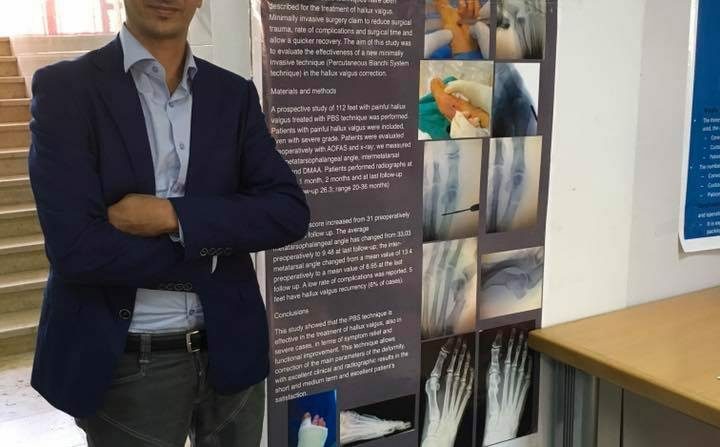 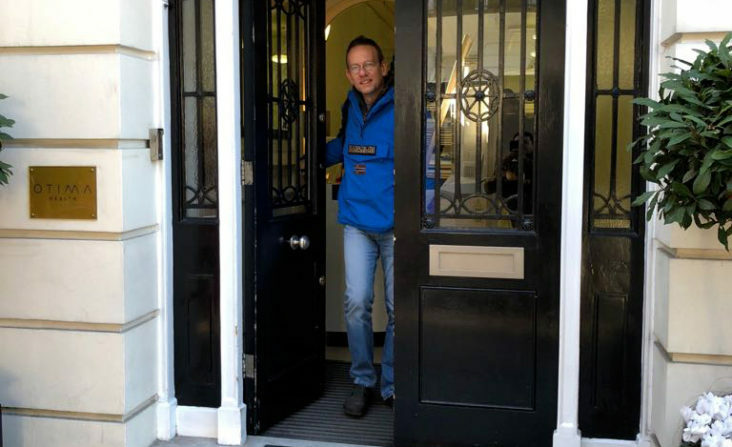 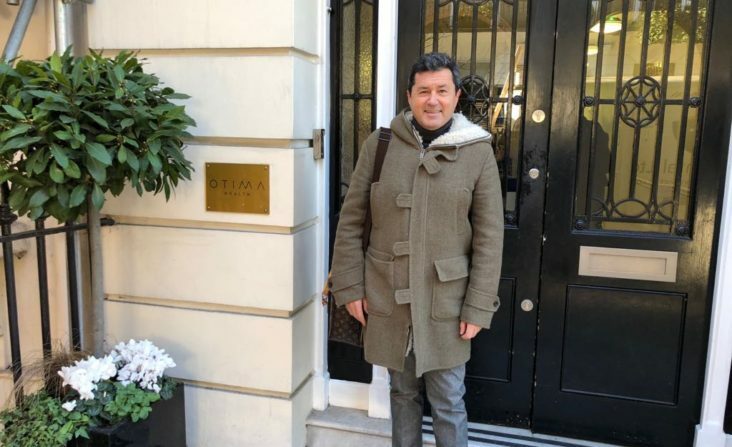 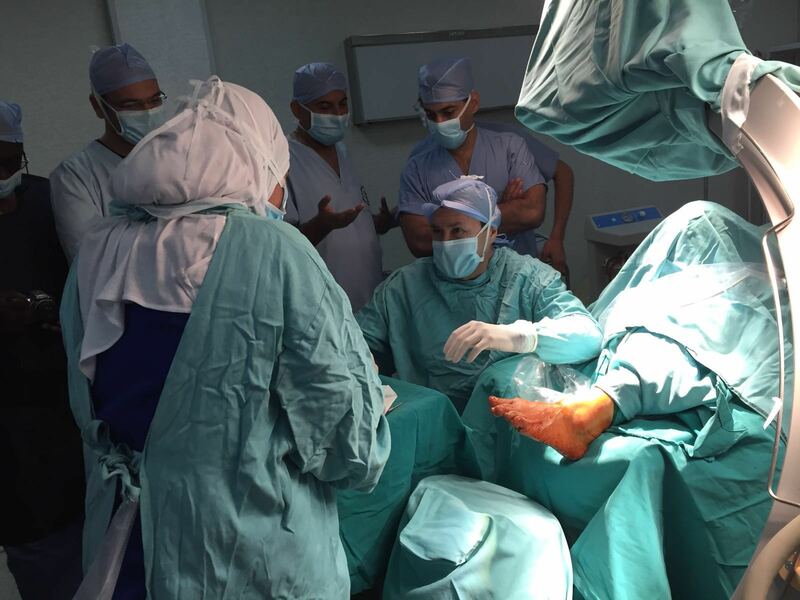 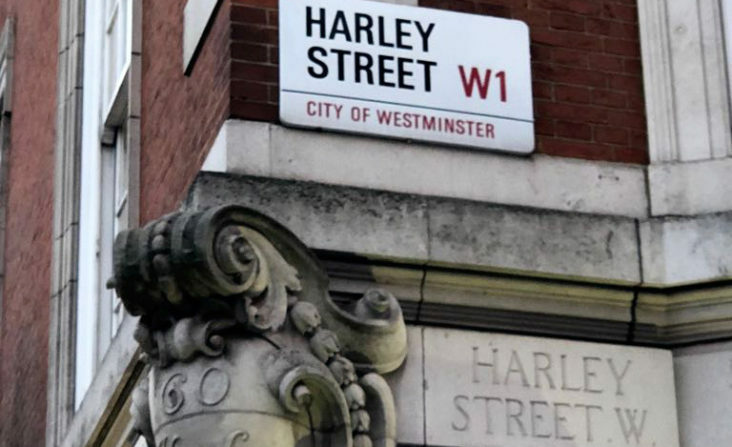 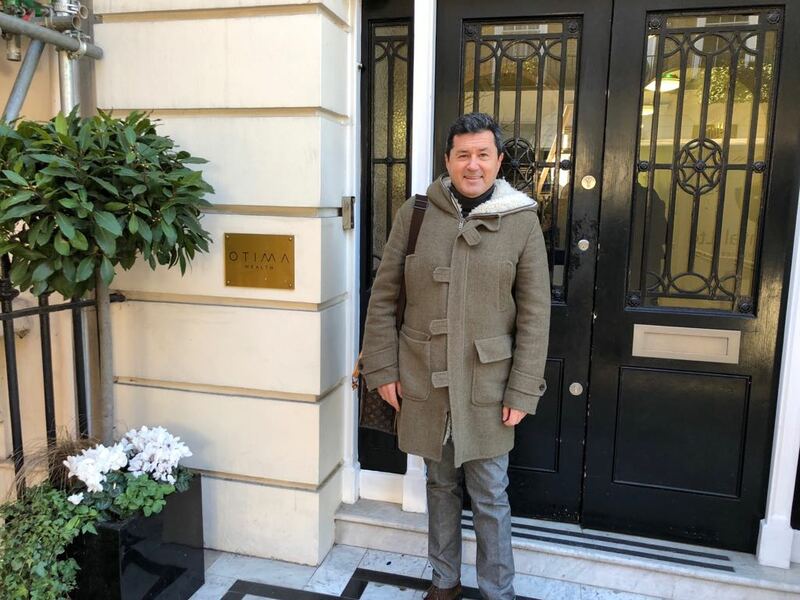 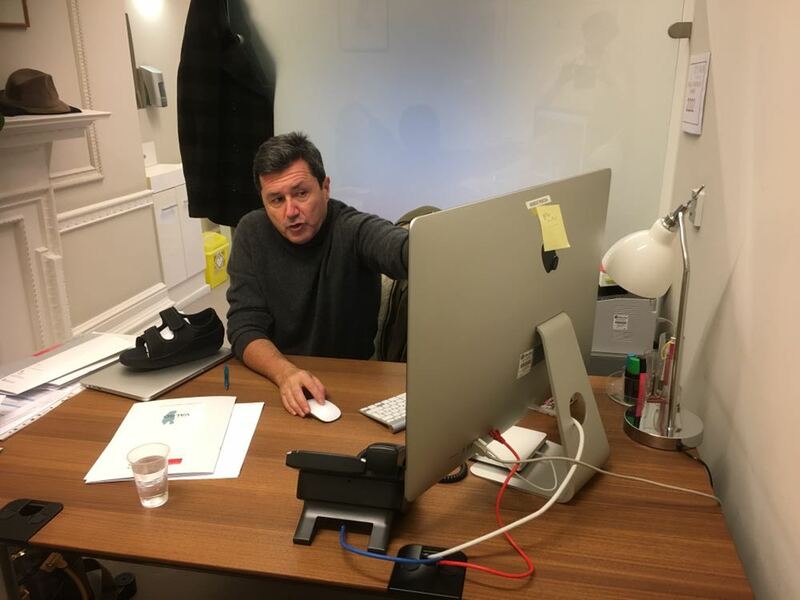 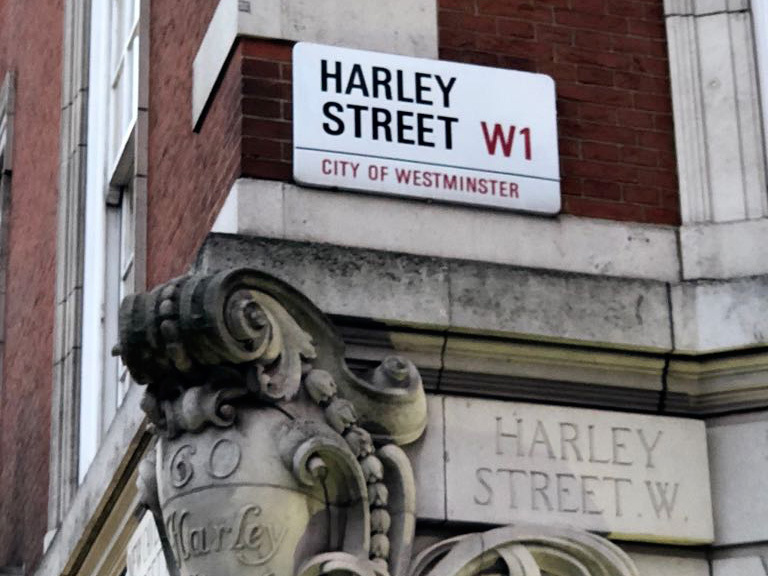 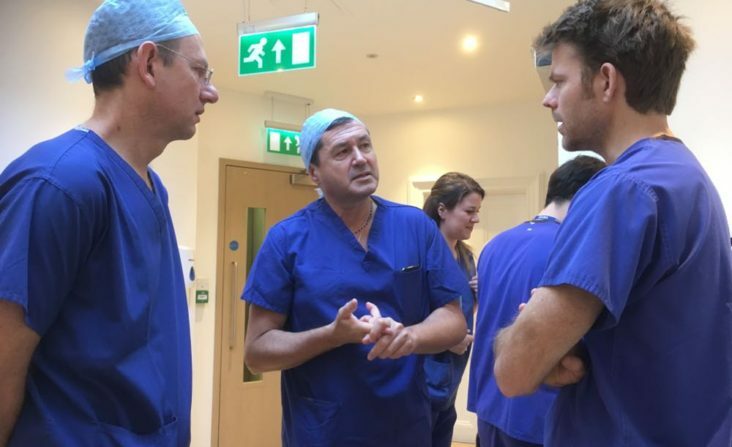 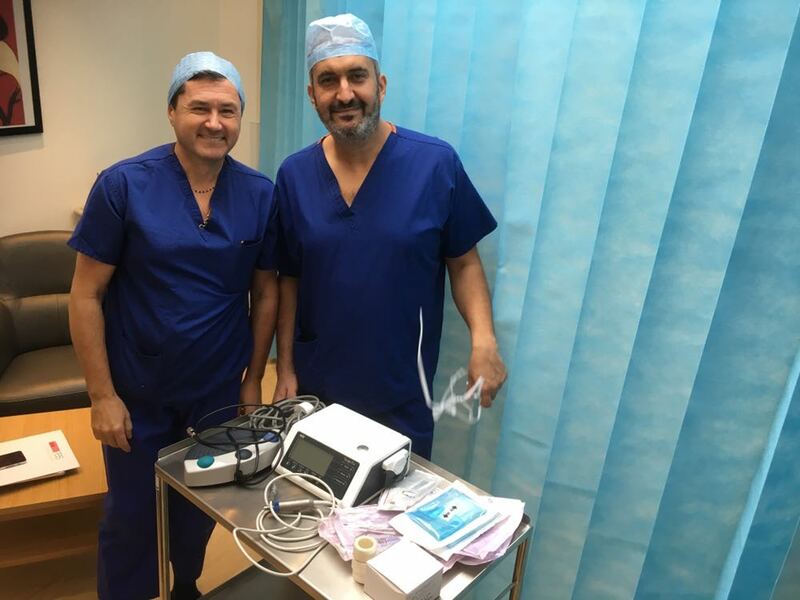 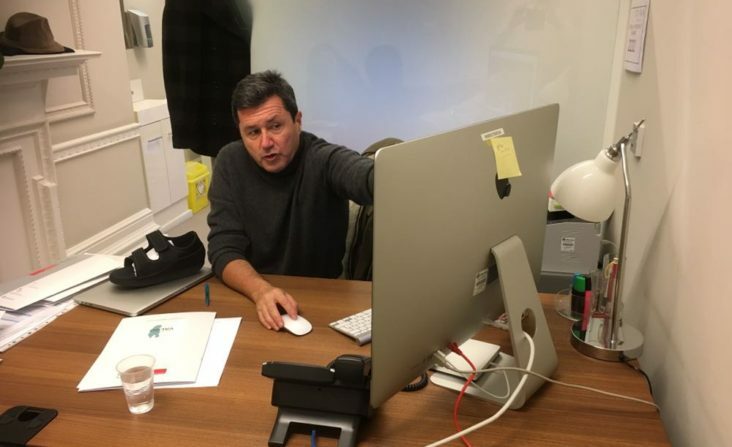 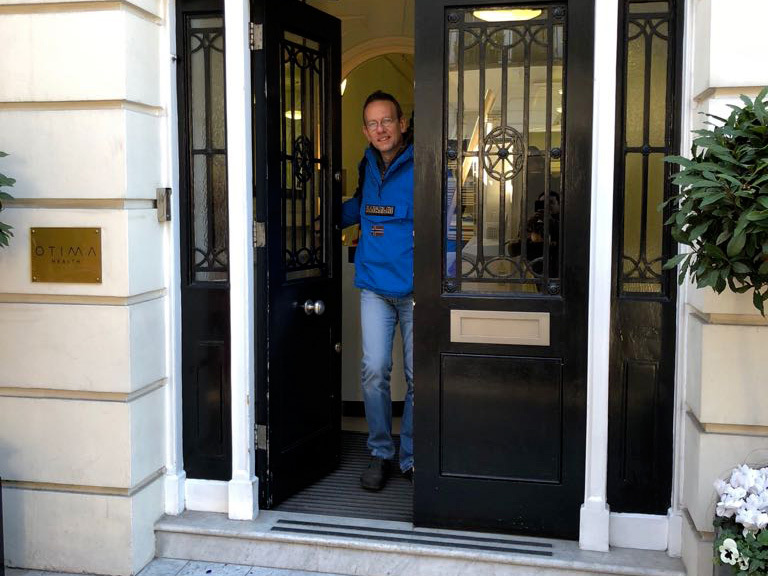 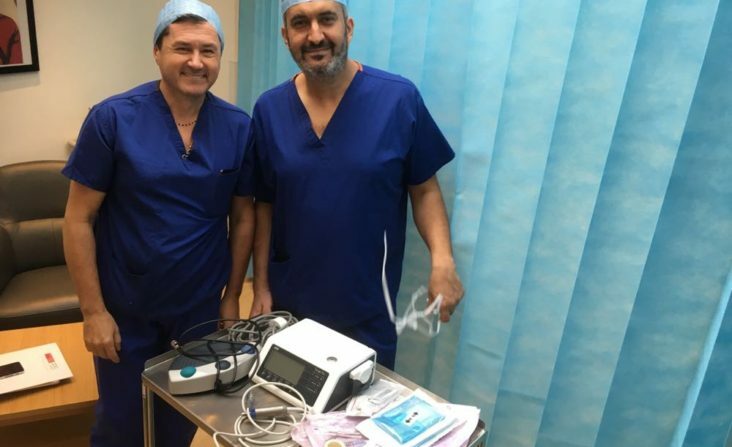 In 2018, PBS has begun to collaborate with the London OTIMA clinic, where Dr Andrea Bianchi recently performed the first surgery on Hallux Valgus using the PBS Technique. 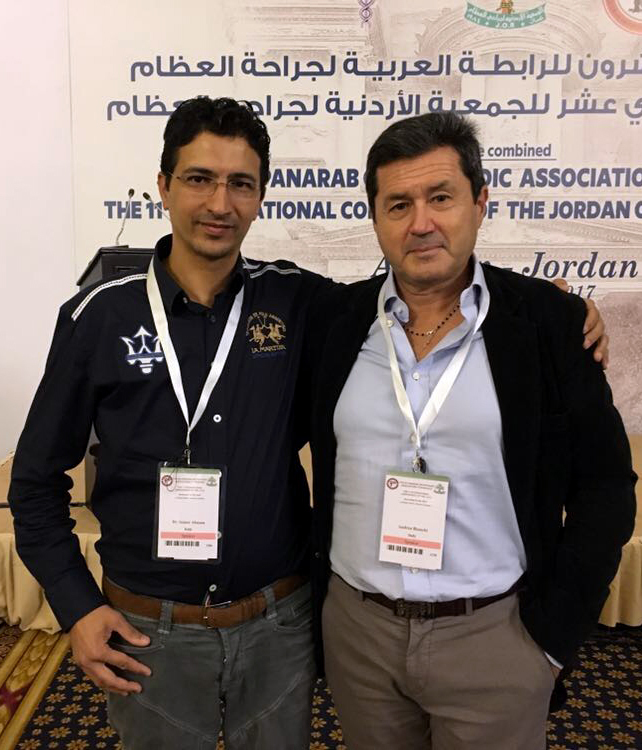 The combined congress of the PanArab Orthopaedic Association Conference and International Conference of the Jordanian Orthopaedic Association was held from 1 to 4 November in Amman. 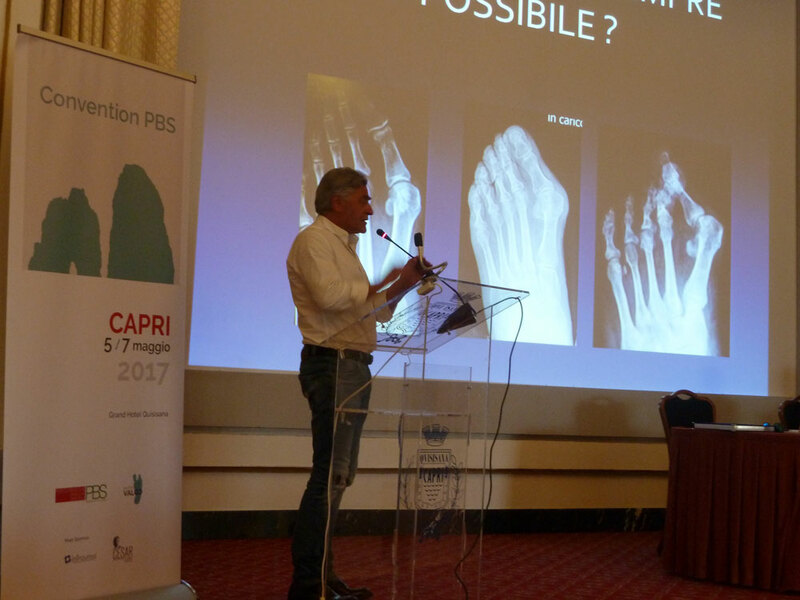 The PBS Technique for treatment of conditions of the forefoot was discussed during Friday’s “Foot and Ankle Session”. 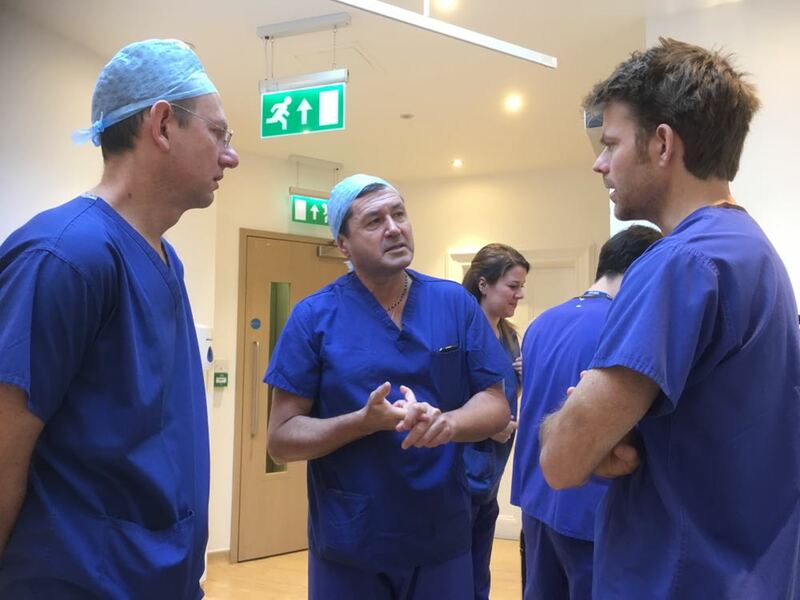 Saturday 28 October was the final day of the training course for all PBS orthopaedic surgeons. 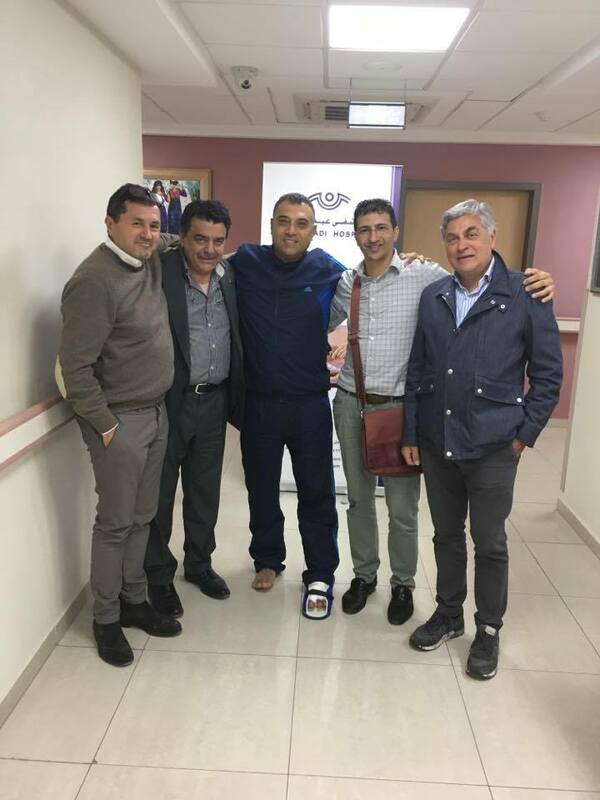 The topic of the meeting was “The diagnostic and therapeutic picture for the flat foot”. 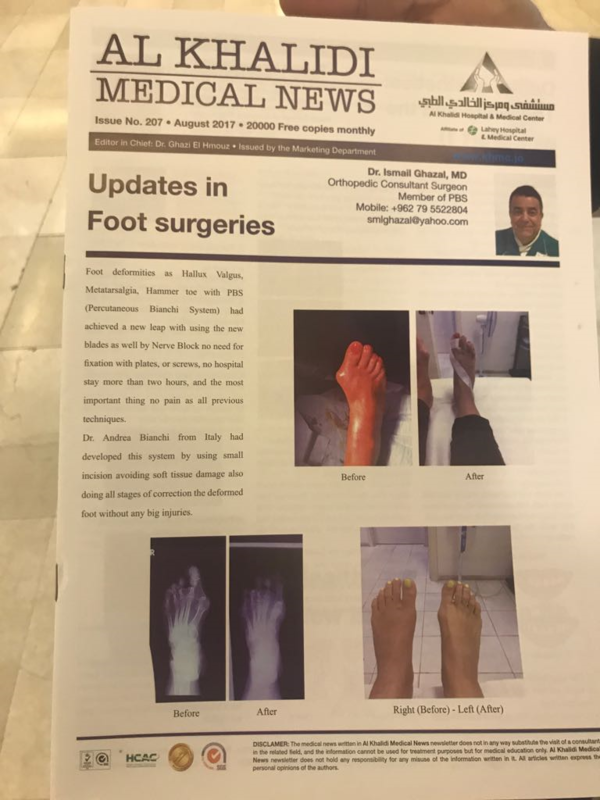 A detailed discussion was held on the biomechanics, diagnosis, surgical and non-surgical treatment of flat foot in children and adults. 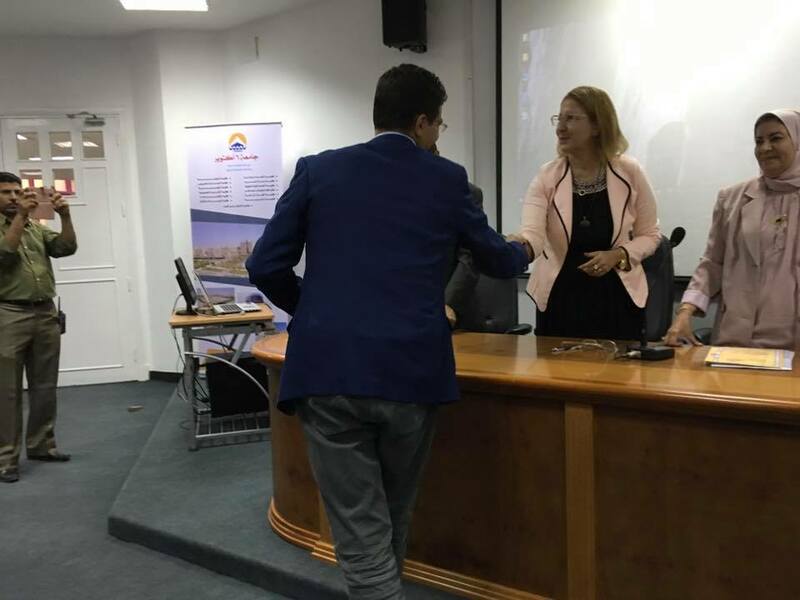 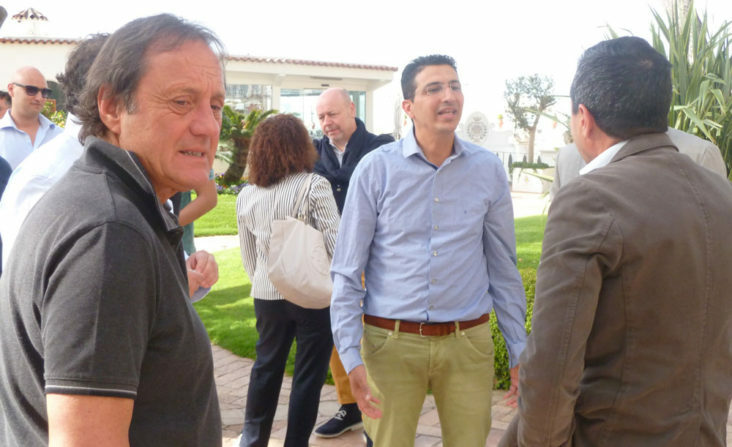 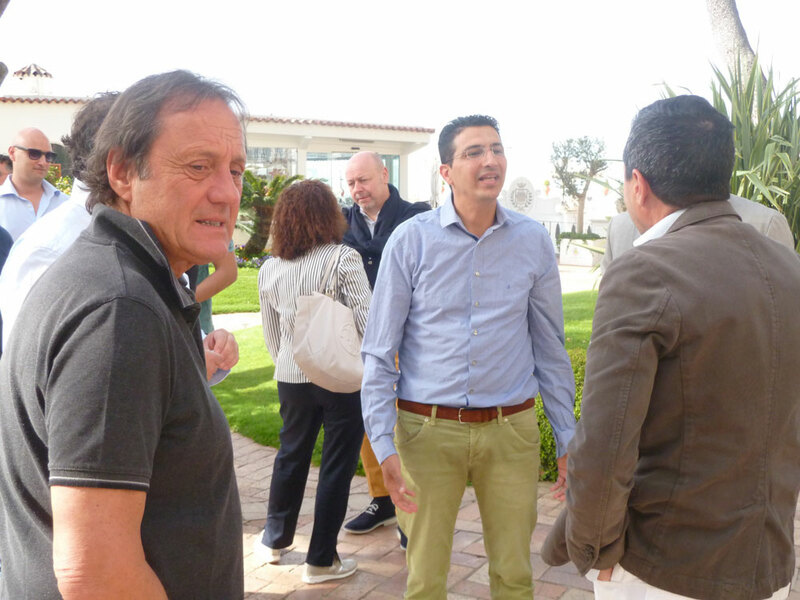 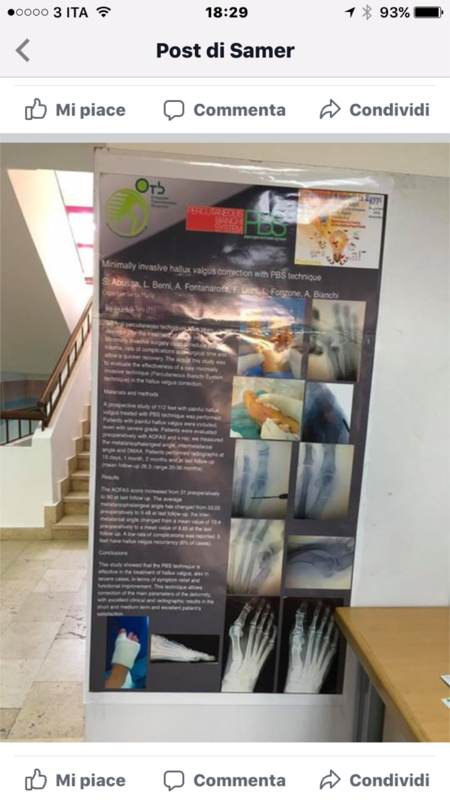 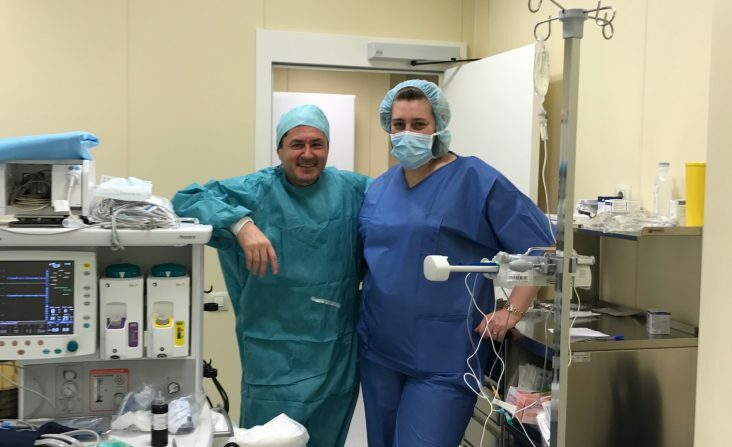 The entire training procedure 2017 (March, July and October) was developed together with the orthopaedics department at the hospital of Borgotaro. 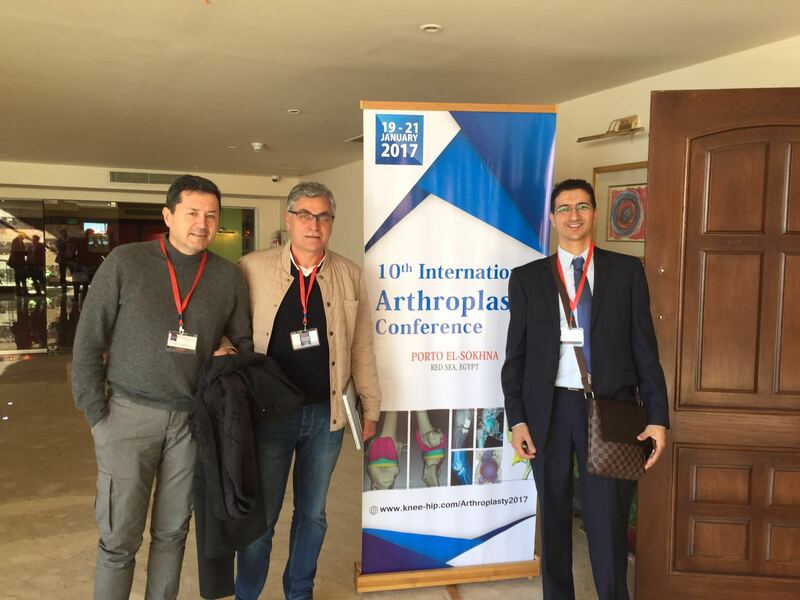 PBS wishes to thank Dr. Luca Berni and his collaborators in particular. 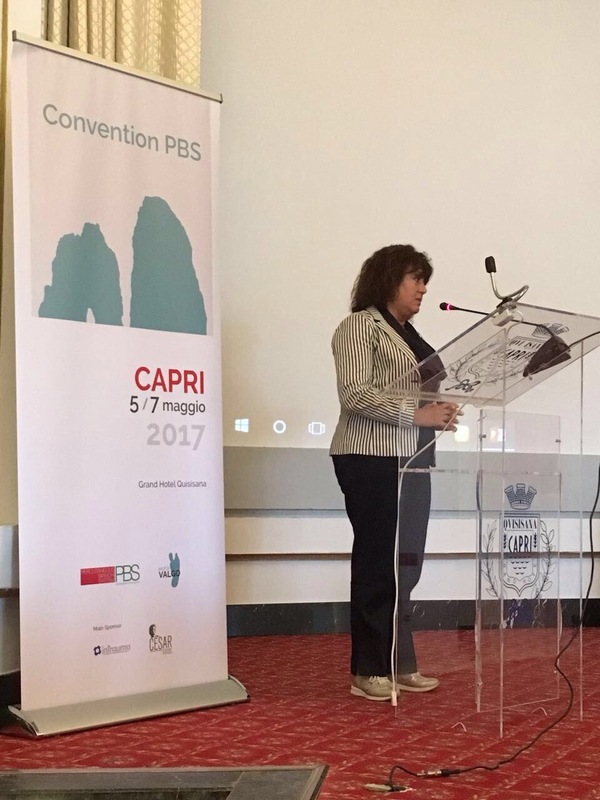 The PBS presentation wins the gold medal. 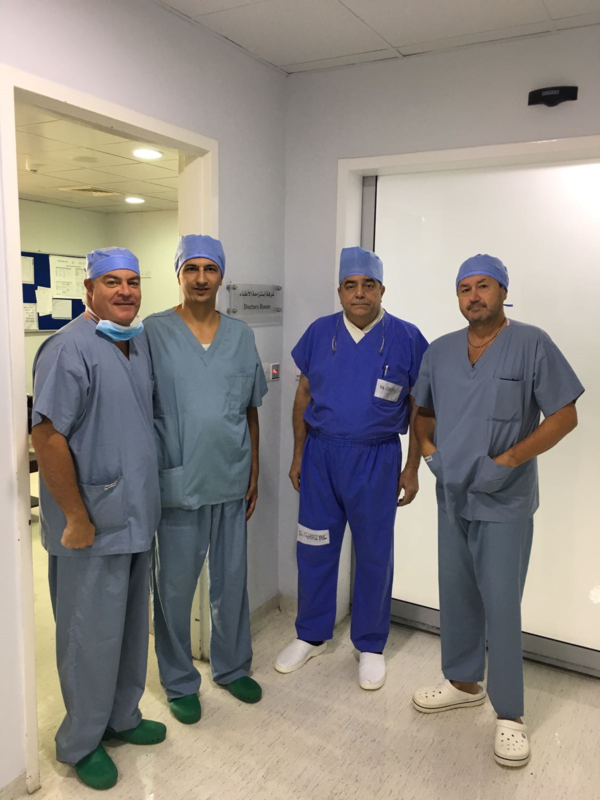 PBS has begun surgery at the Al Khalidi Hospital & Medical Center in Amman, Jordan together with Dr. Nael Abu Kaff, Medical Director. 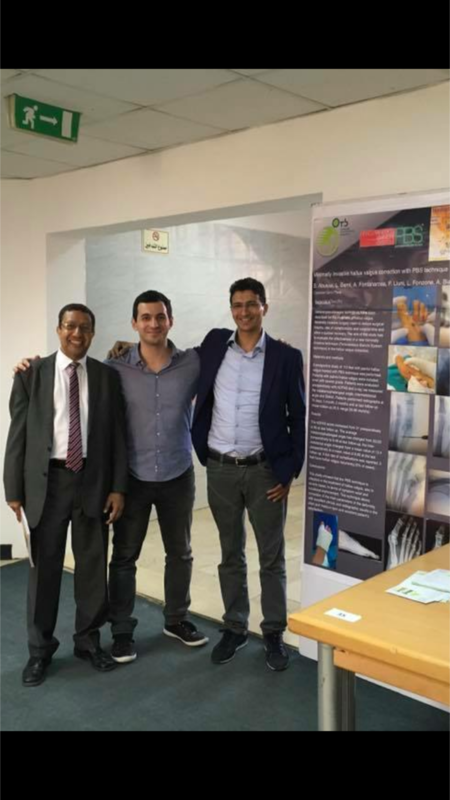 Appreciation for the PBSD Technique grows abroad. 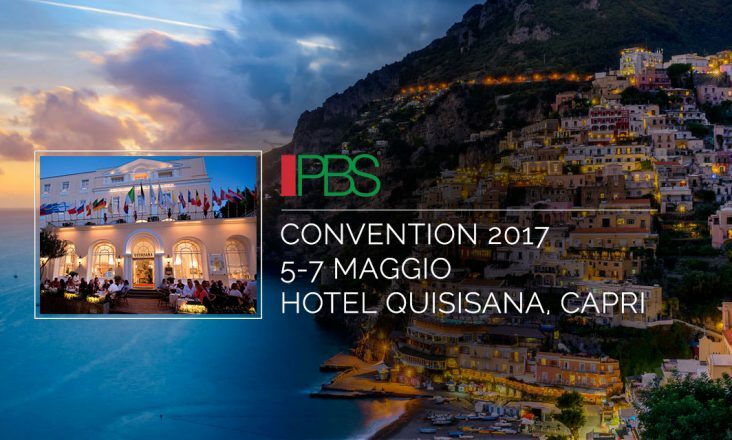 The PBS Convention has just come to an end. 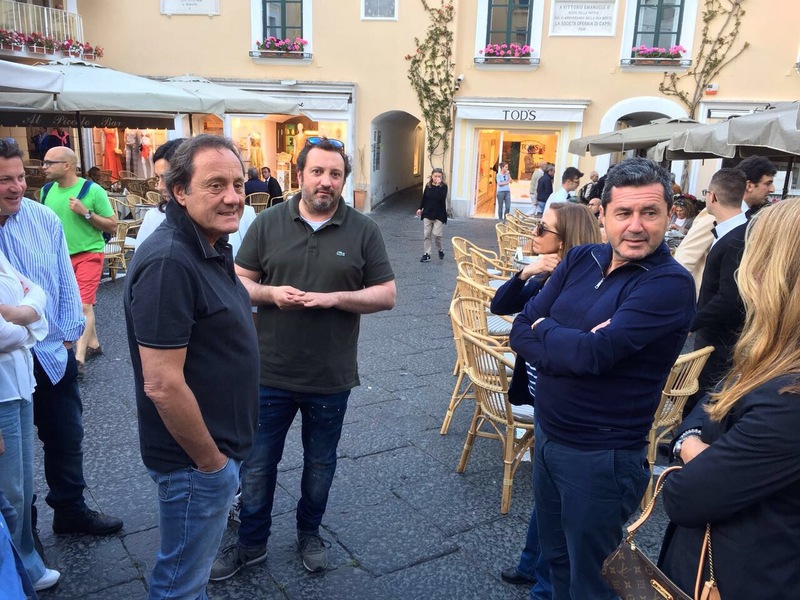 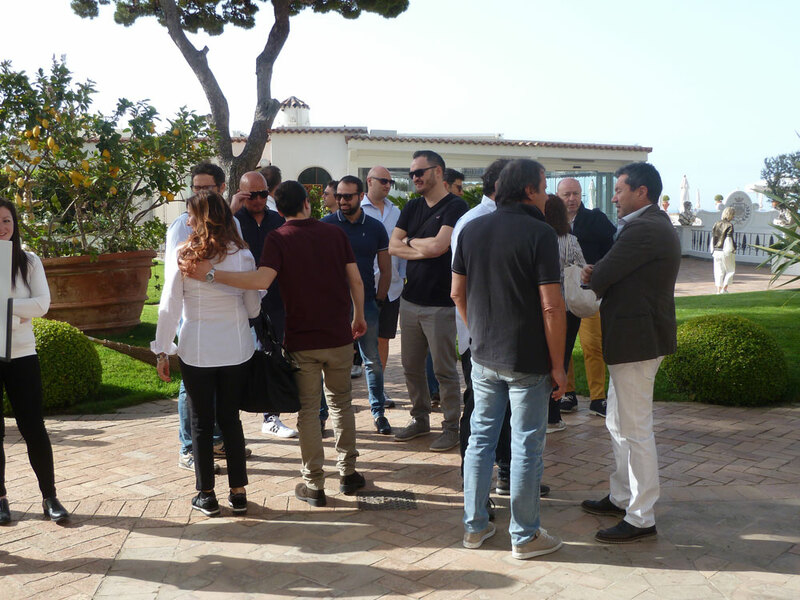 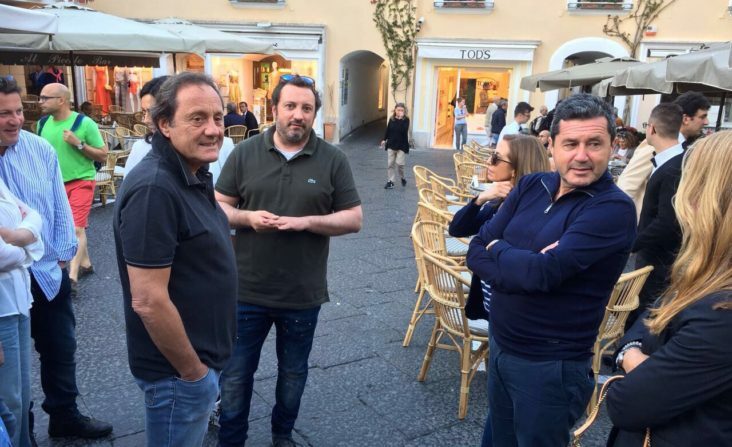 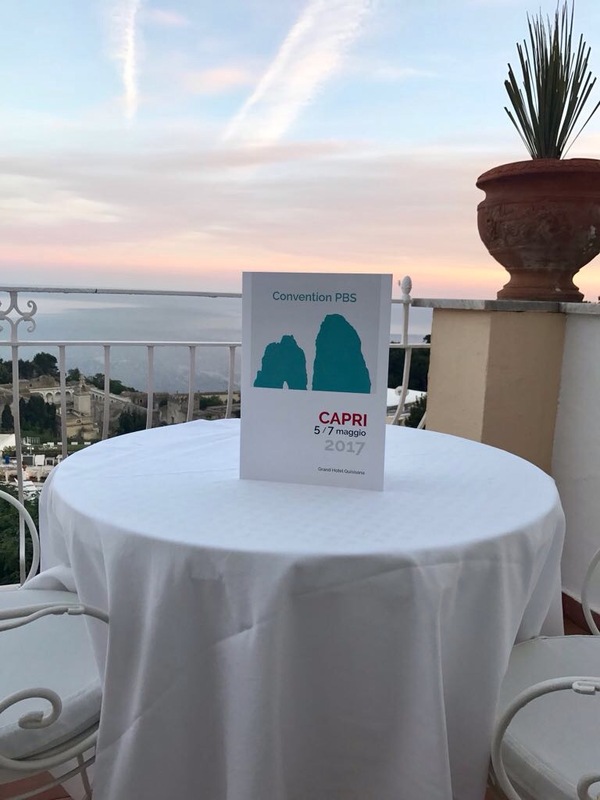 The entire team of collaborators and doctors met in Capri from 5 to 7 May 2017. 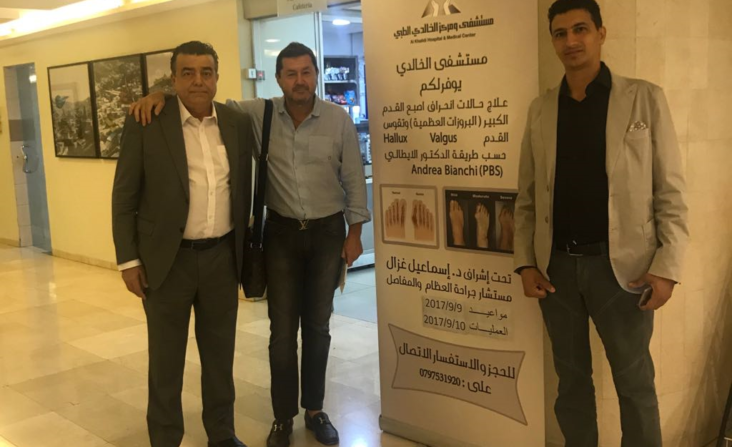 The PBS technique has arrived in Jordan. 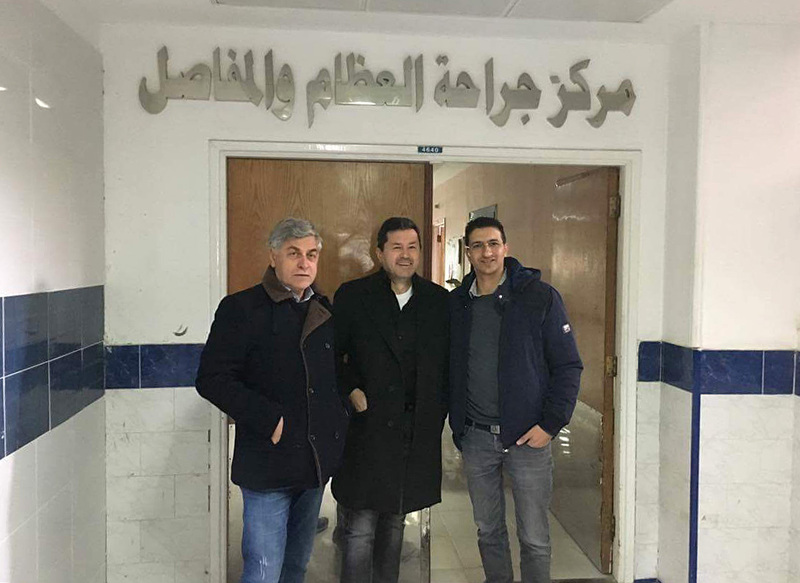 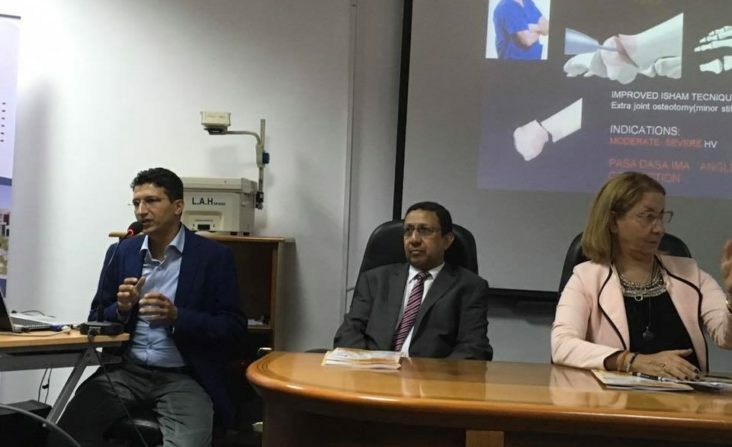 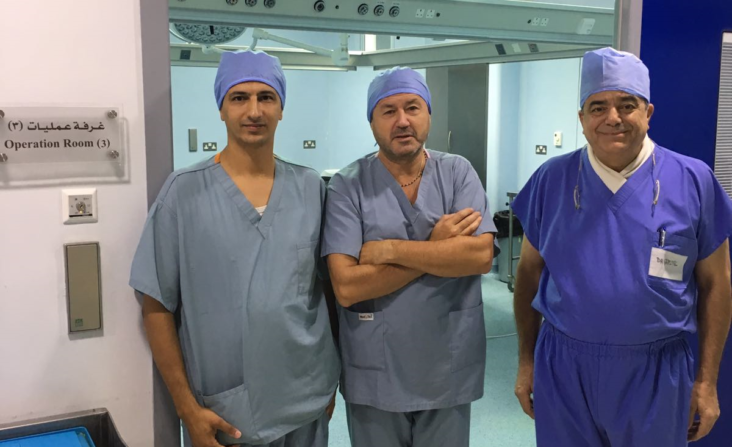 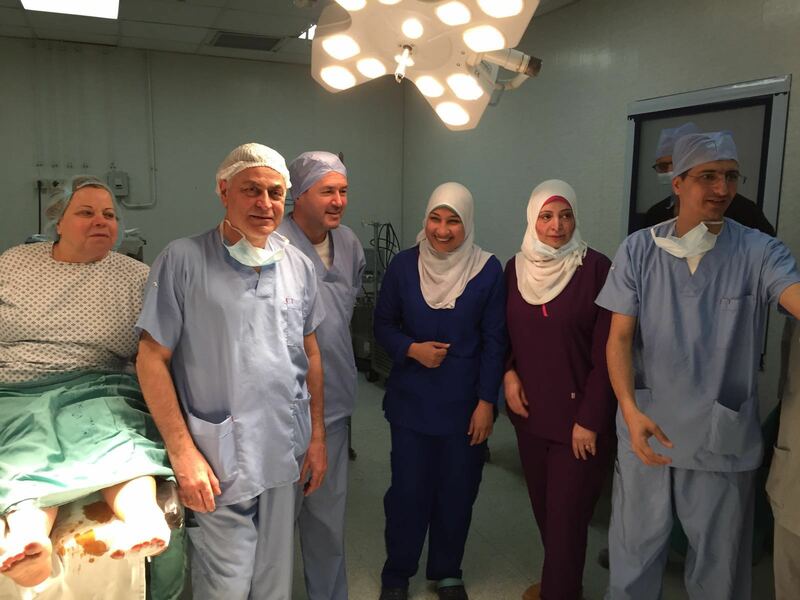 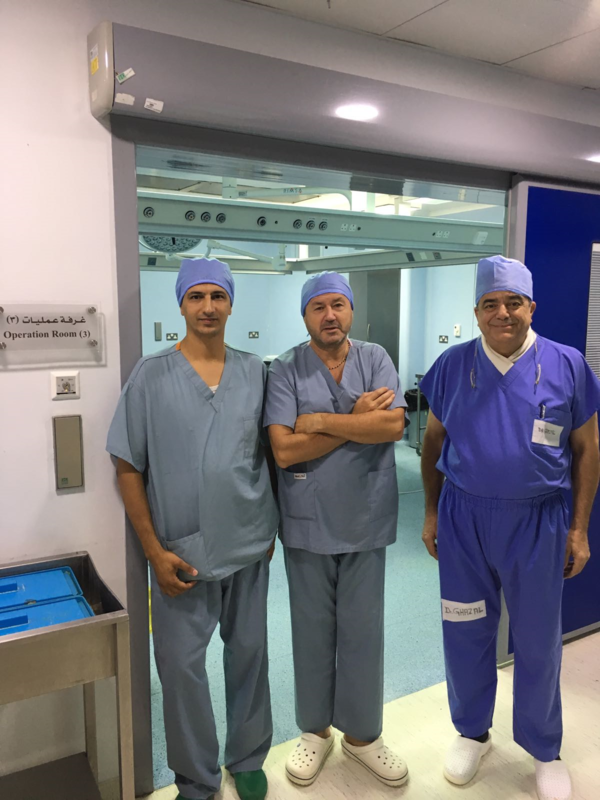 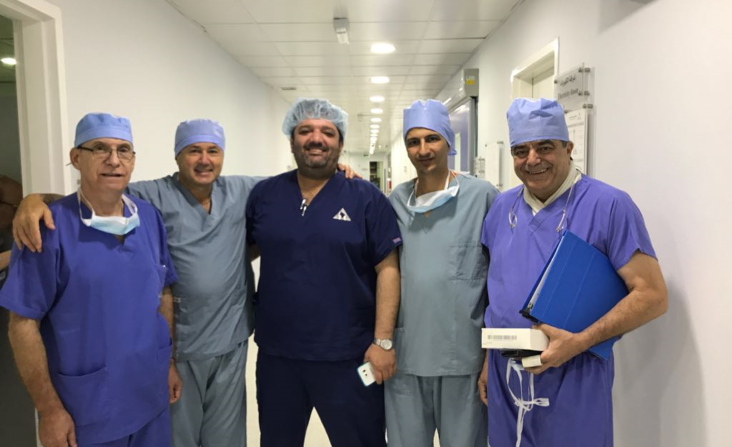 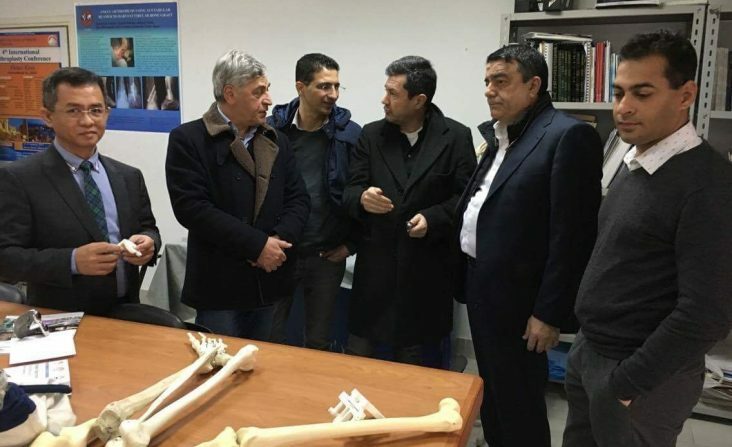 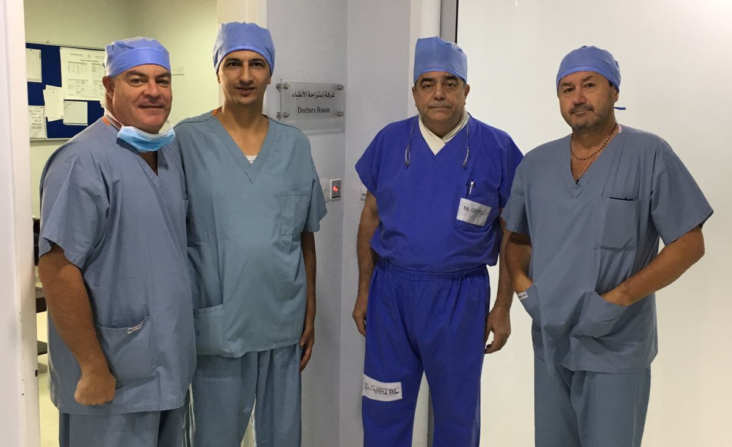 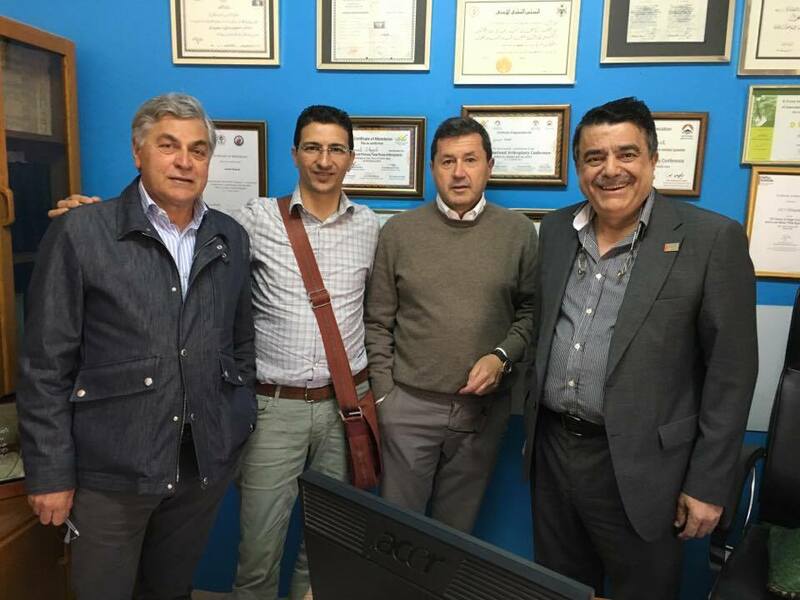 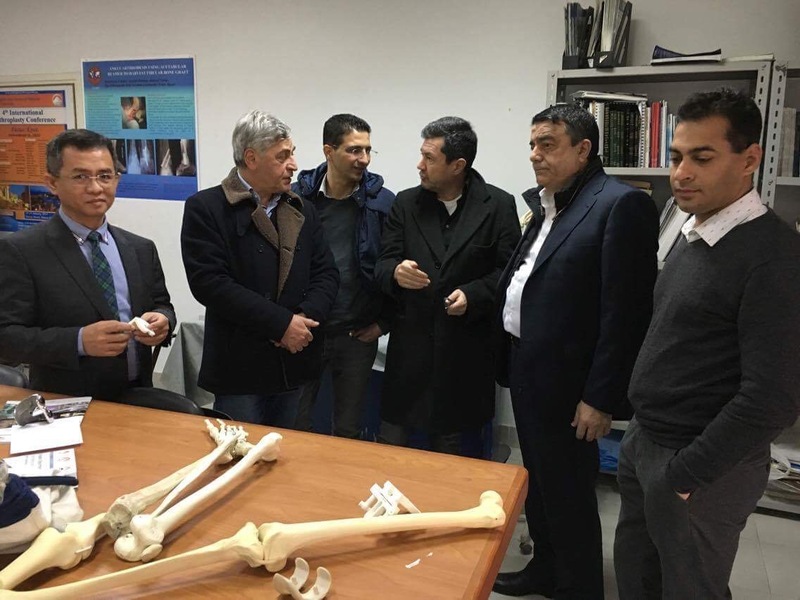 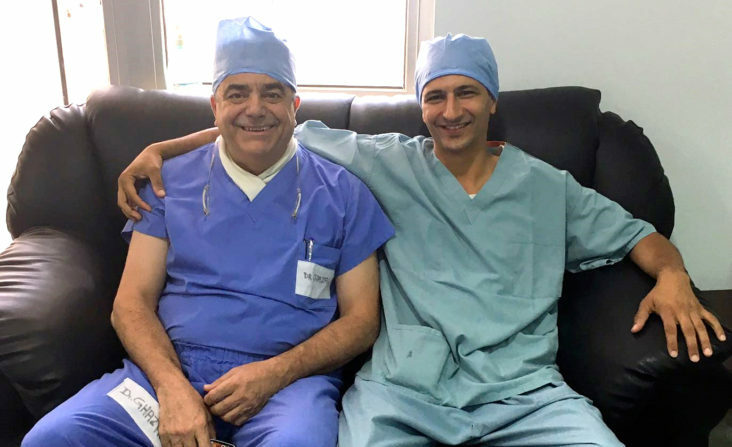 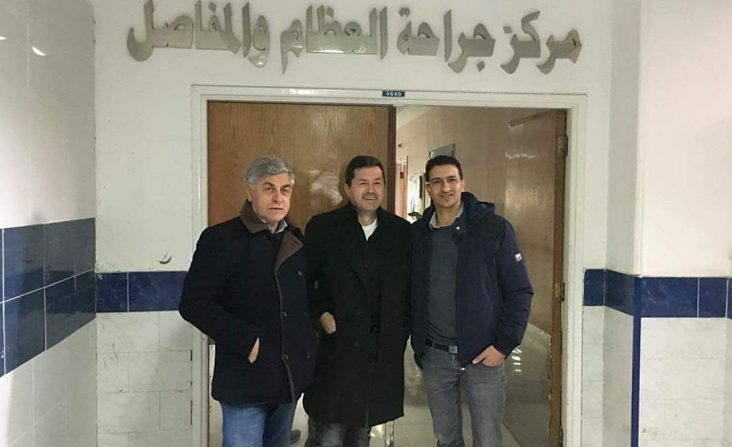 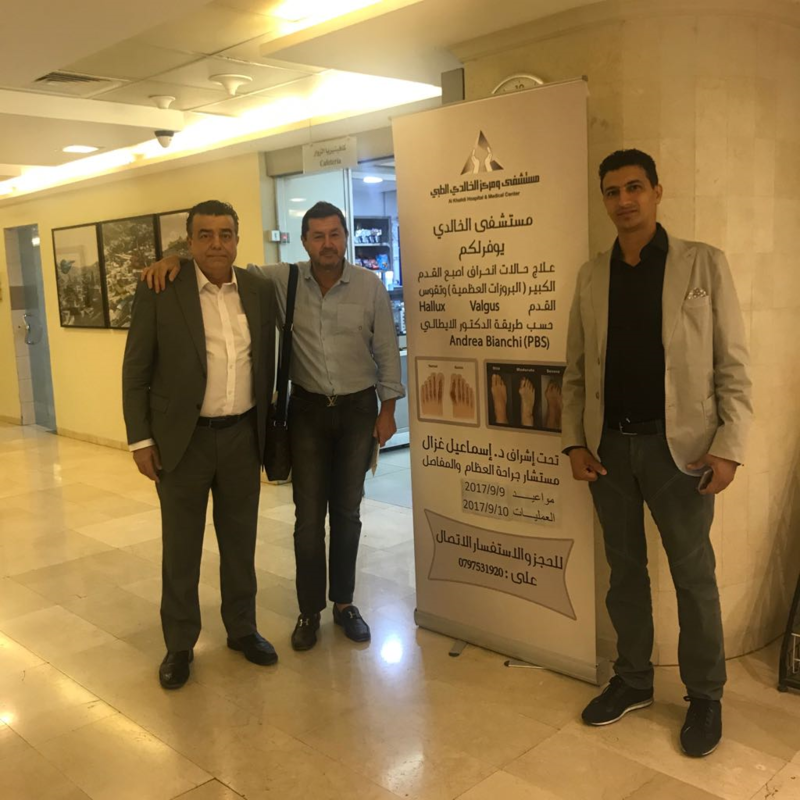 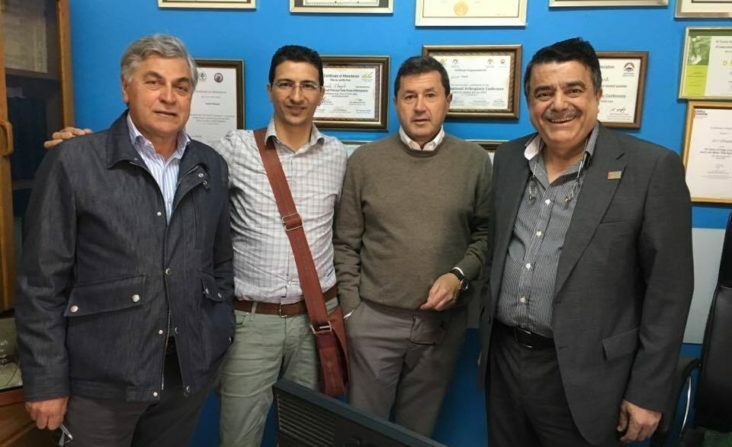 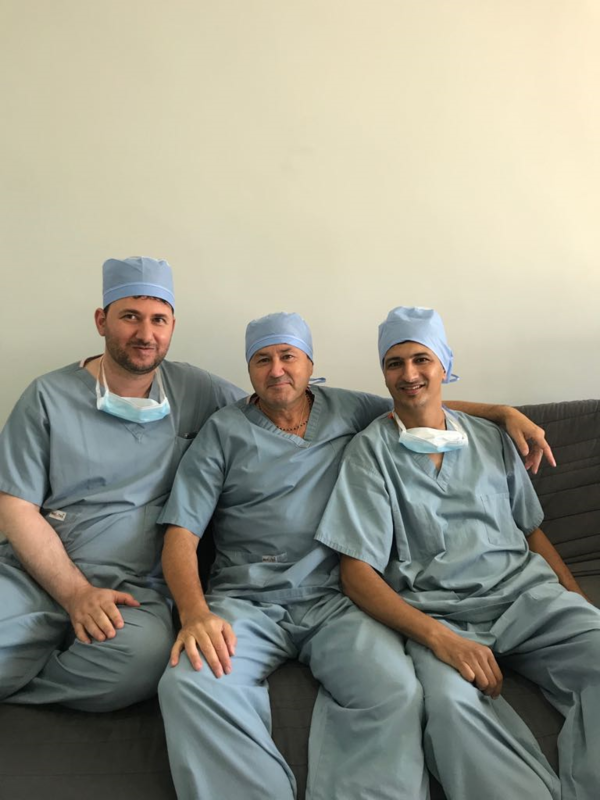 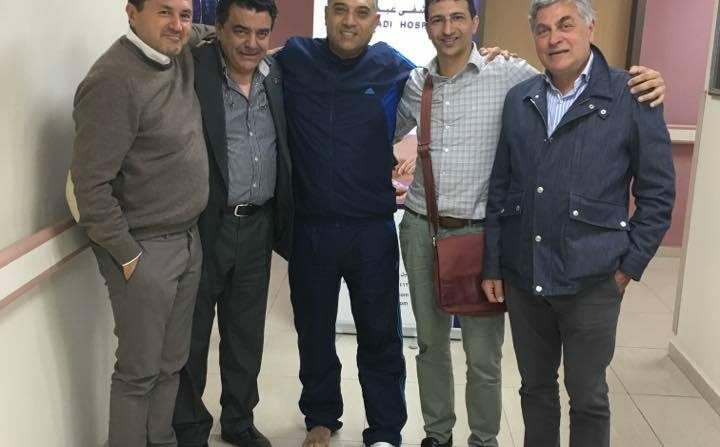 Yesterday for the first time, Dr. Bianchi, Dr. Samer and Dr. Ferranti went to Amman, accompanied by the Jordanian surgeon, Ismail Ghazal, to the “Abdulhadi Hospital to teach their surgeon colleagues the PBS keyhole technique. 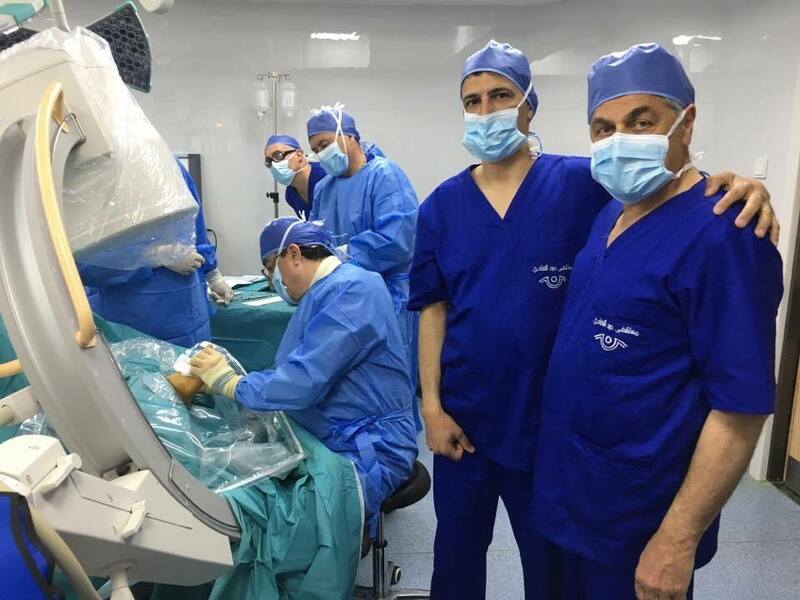 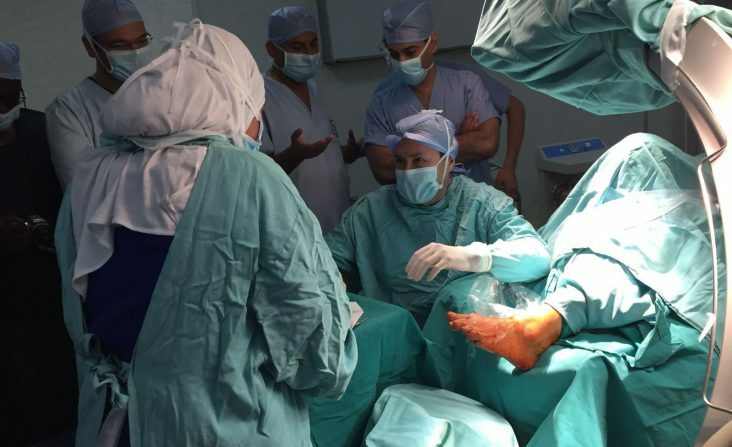 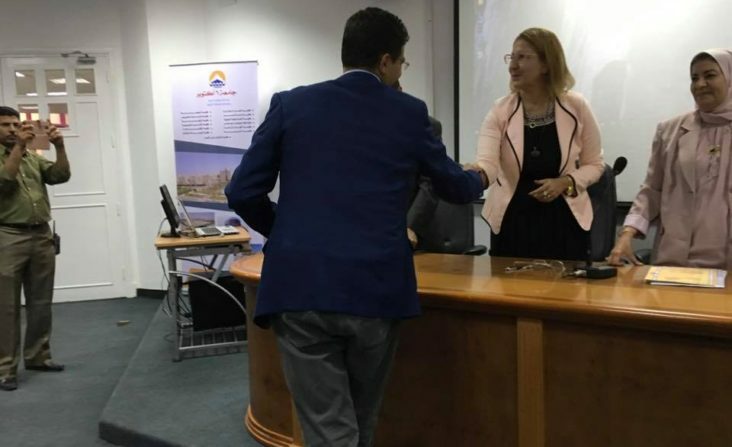 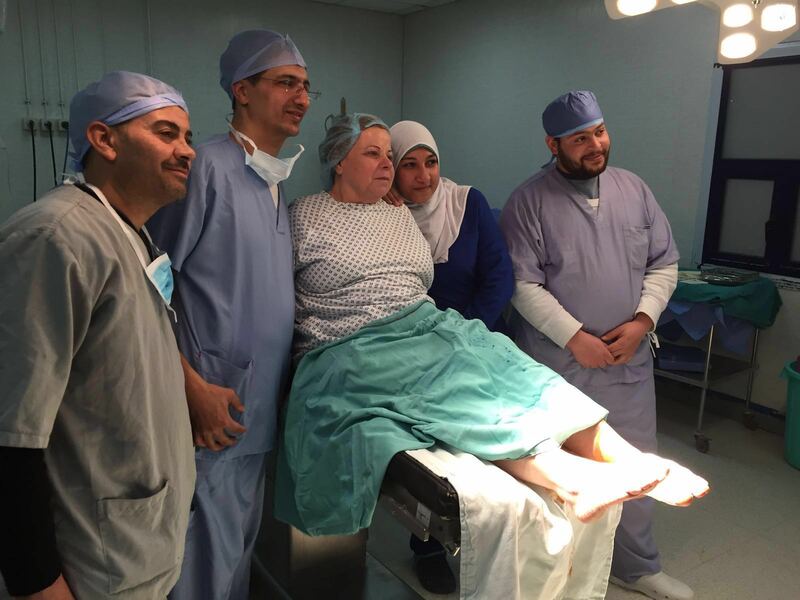 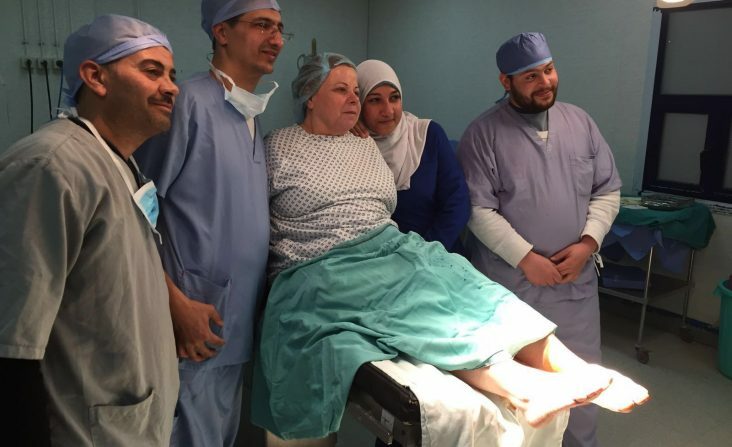 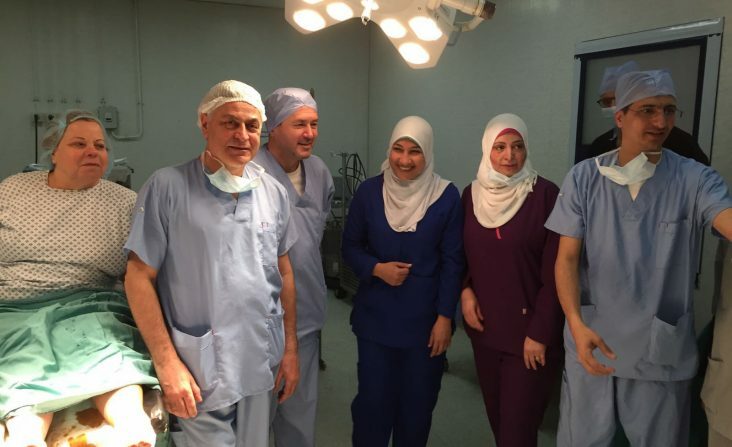 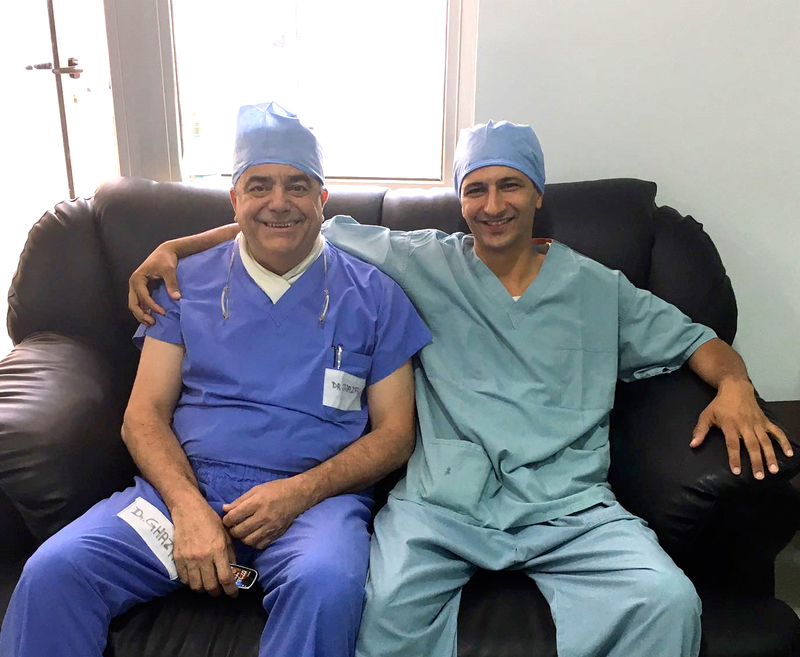 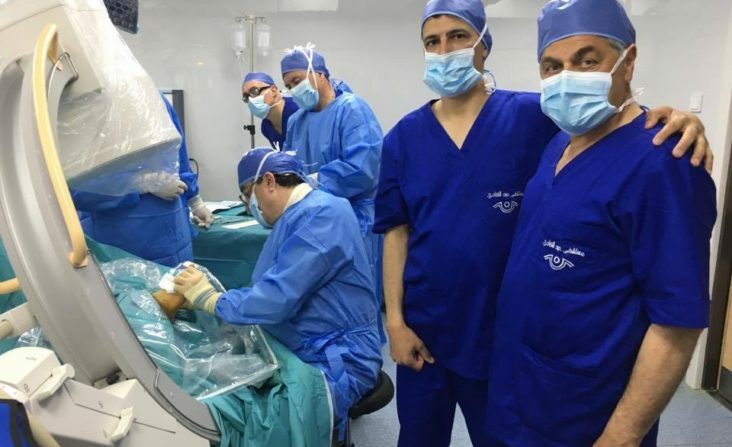 The first operations were carried out for the very first time in Jordan and the patients left very positive feedback in their comments reported in the Arab article, which can be seen via this link. 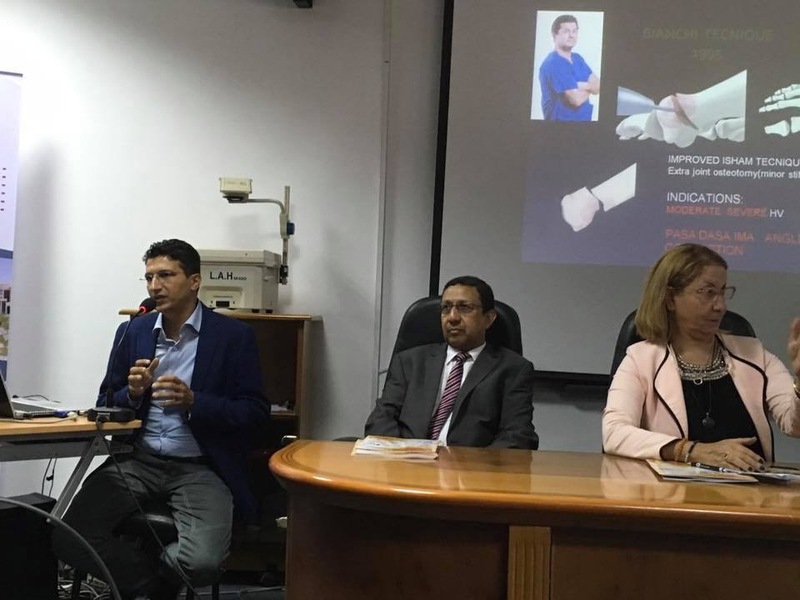 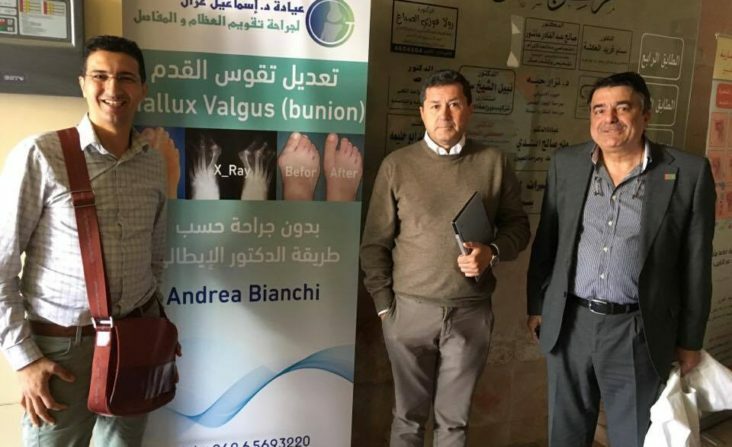 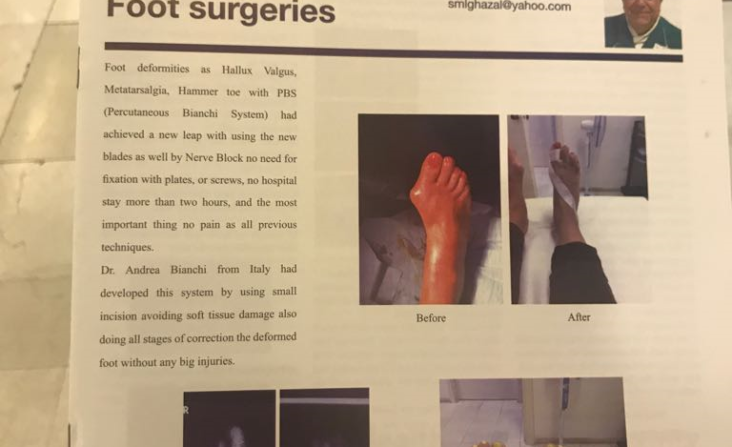 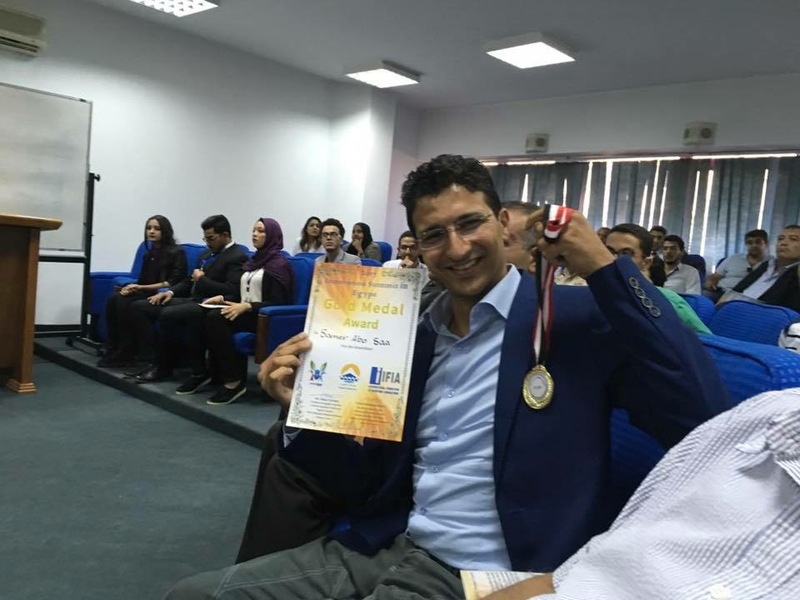 Abdulhadi Hospital speaks of Hallux Vagus and the PBS technique of Dr. Bianchi. 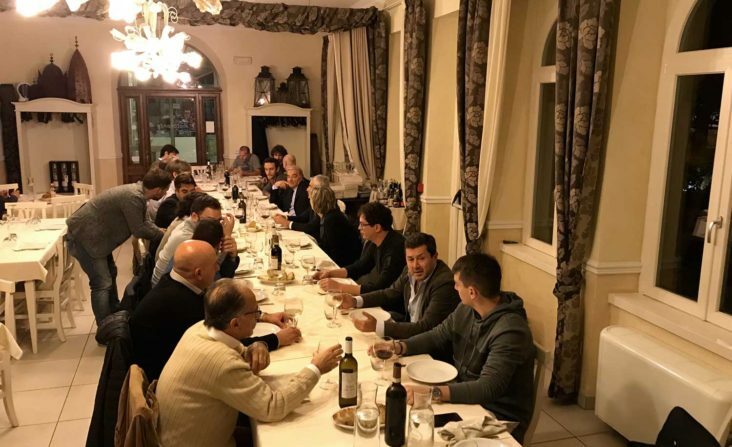 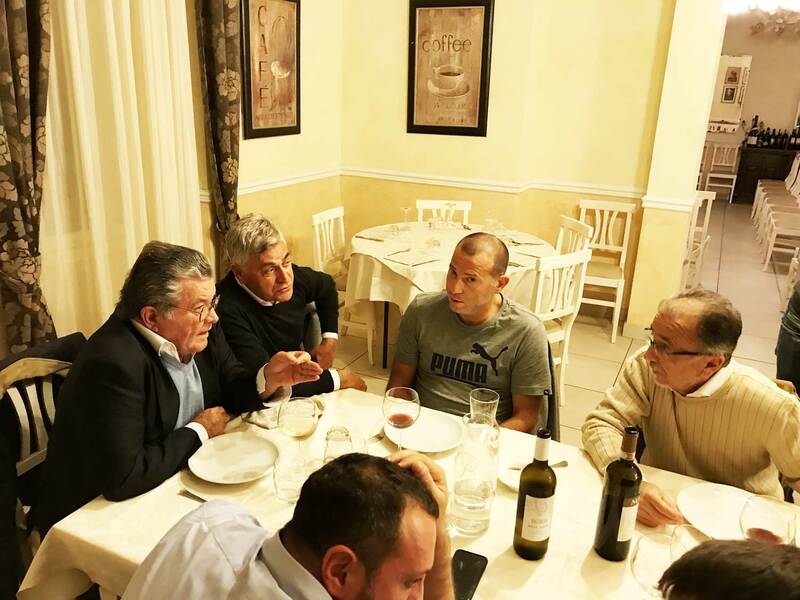 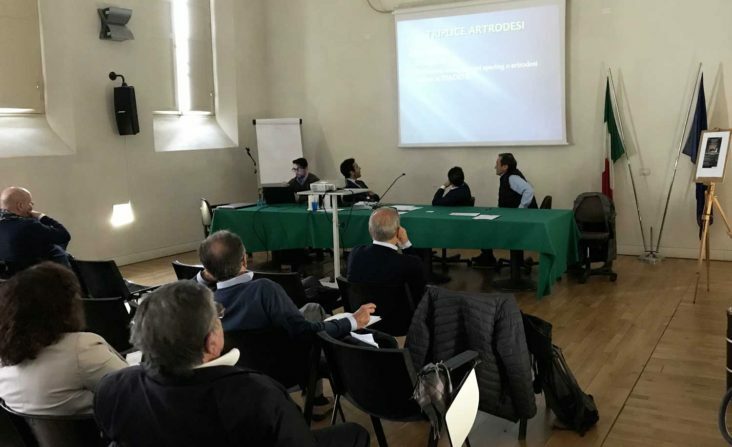 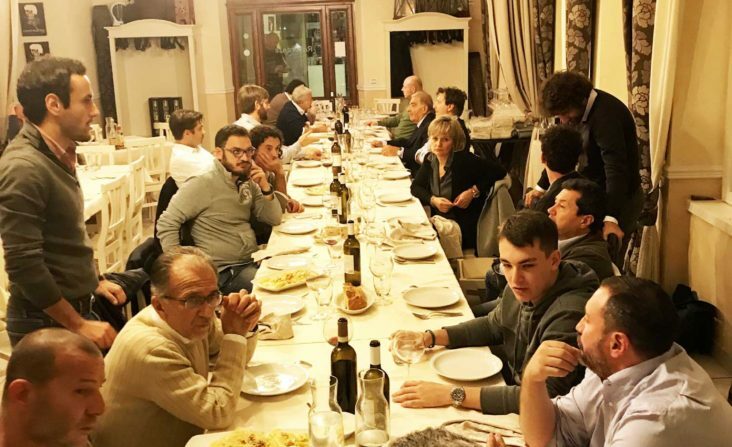 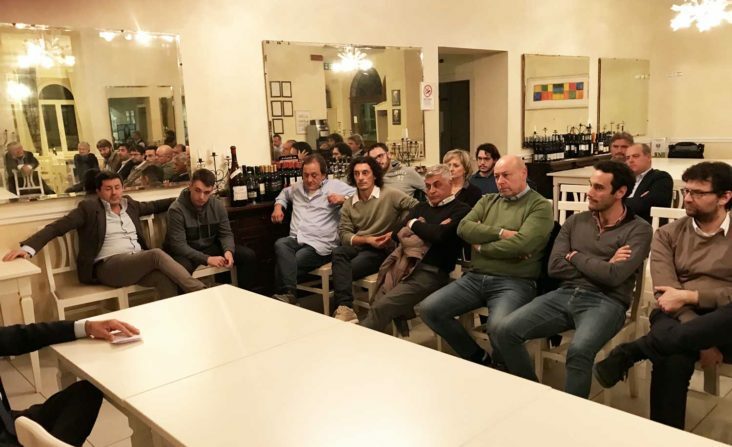 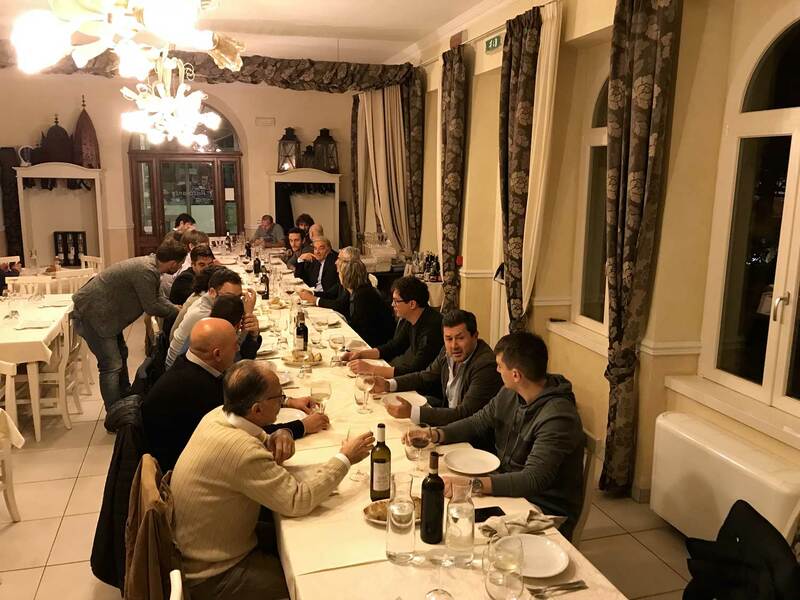 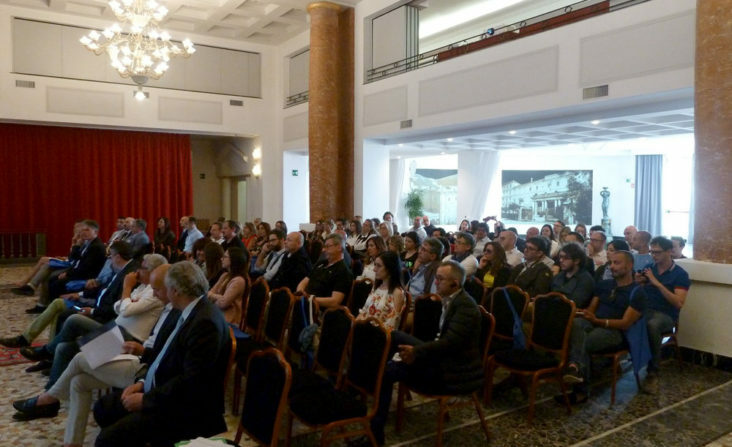 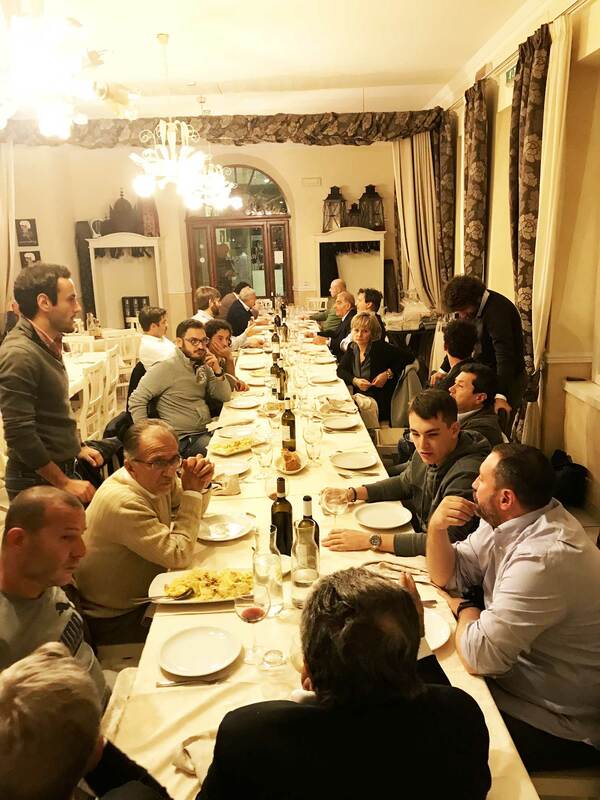 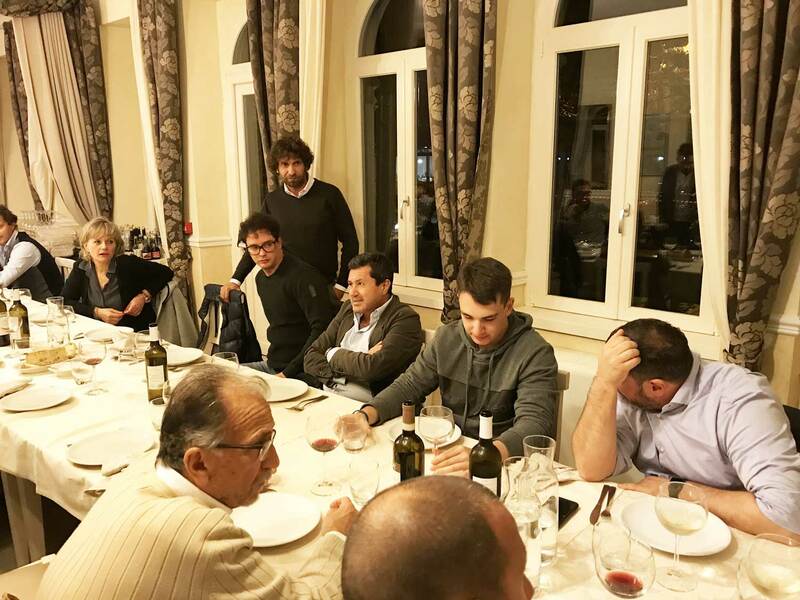 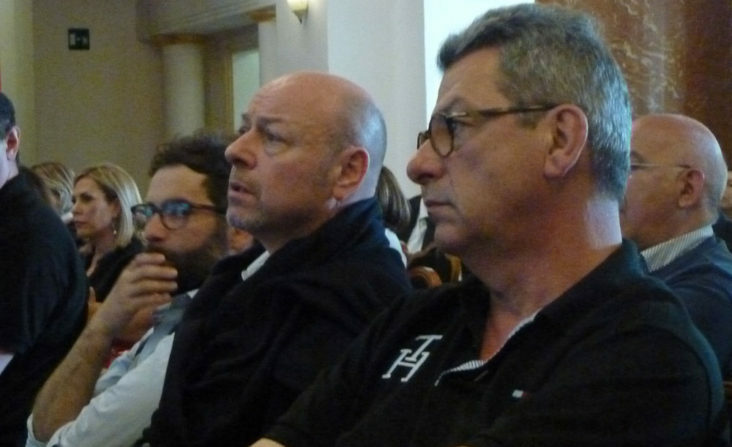 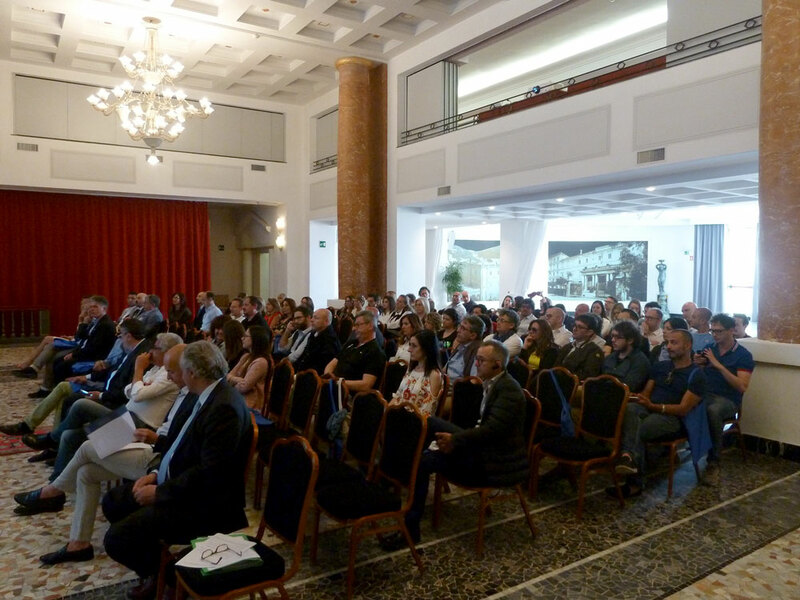 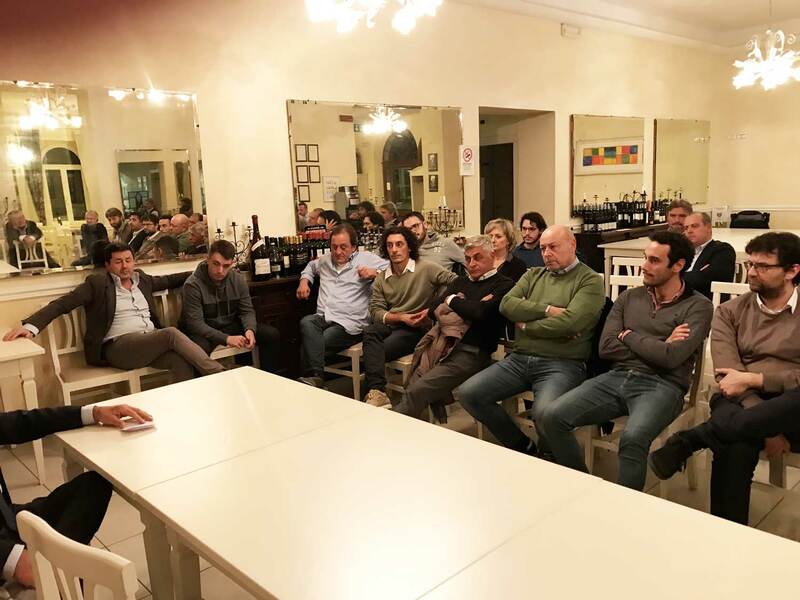 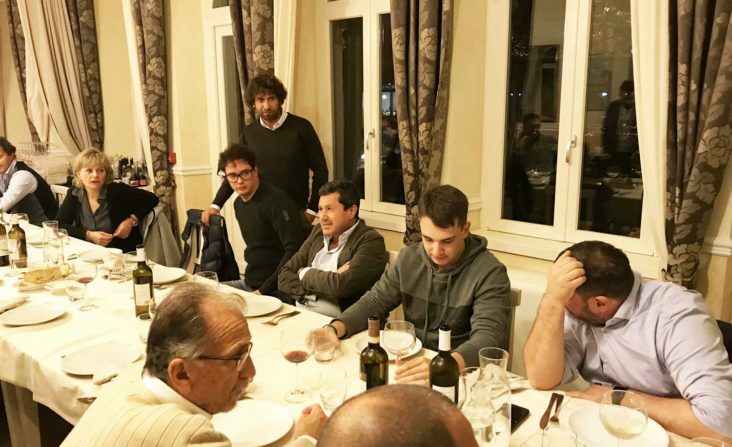 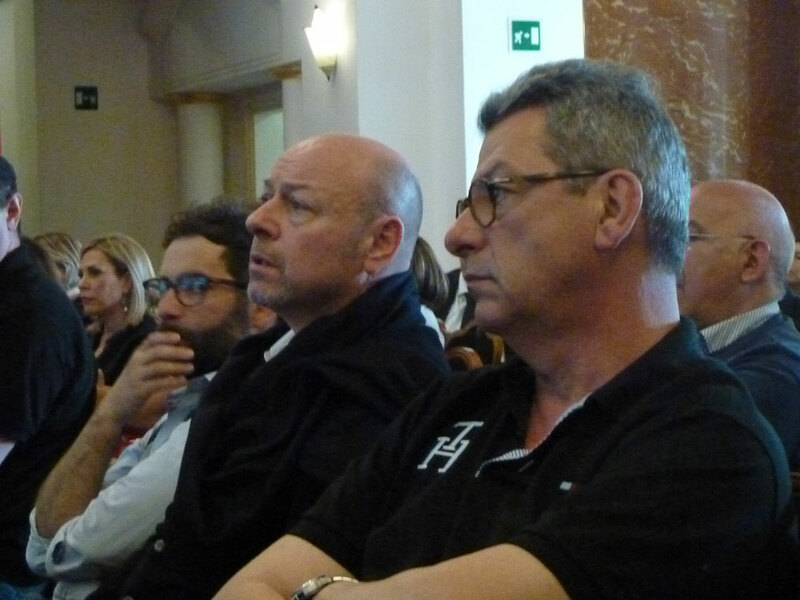 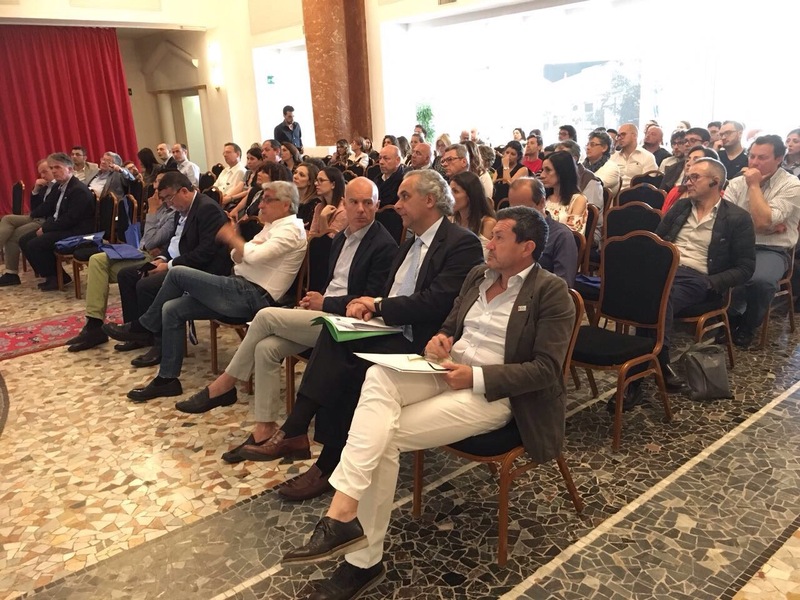 The ECM professional refresher course for all doctors in the PBS group began on 25 March at the hospital Santa Maria in Borgo Val di Taro (Parma). 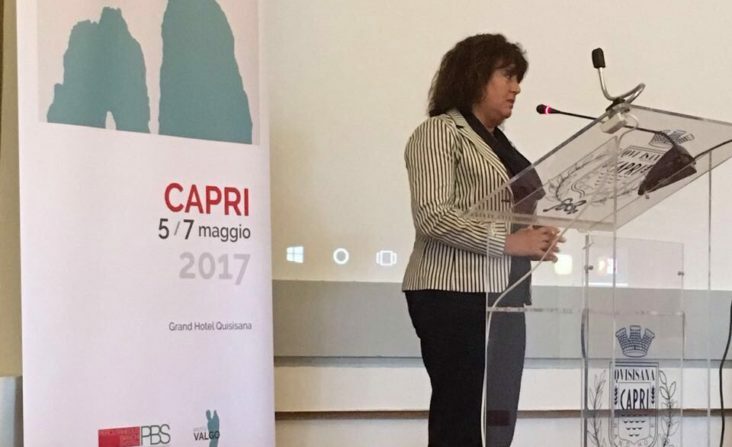 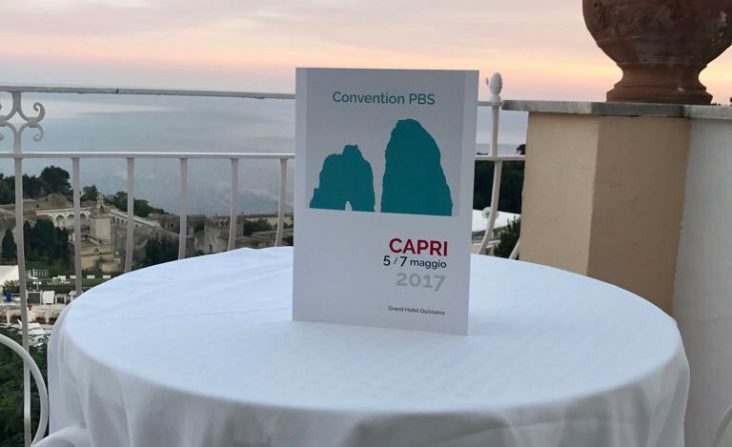 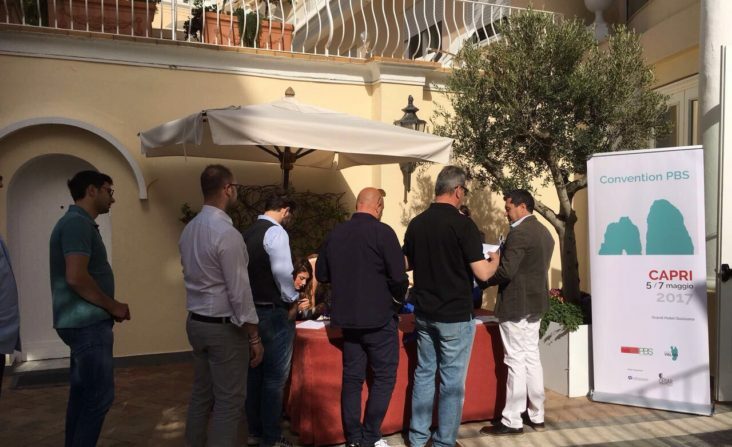 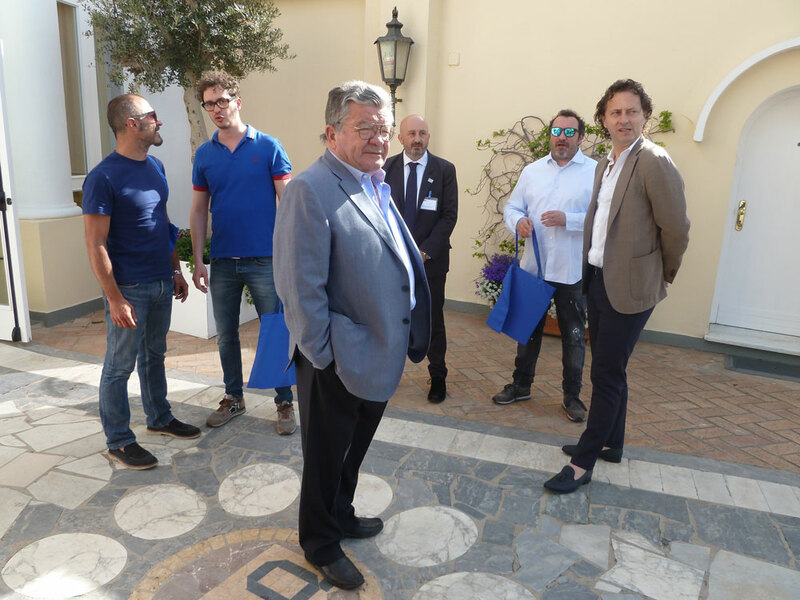 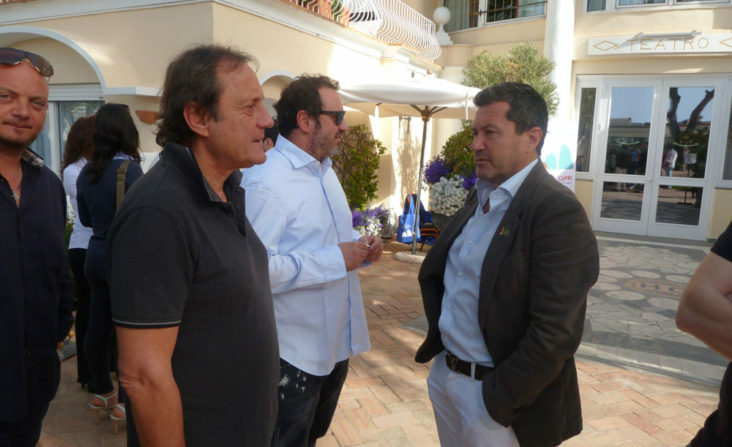 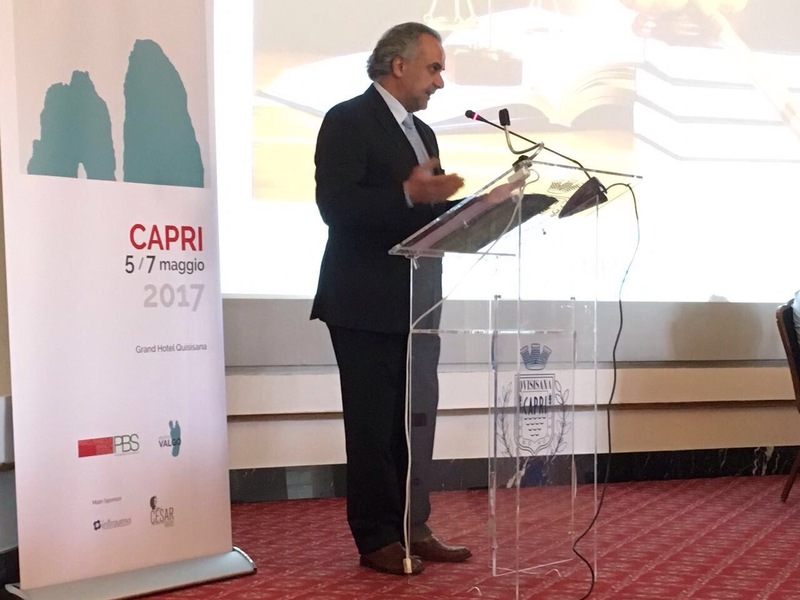 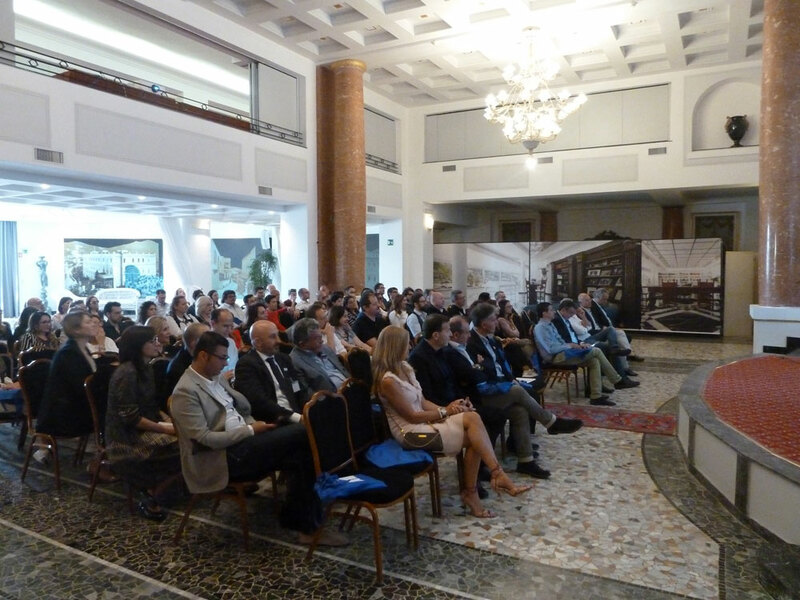 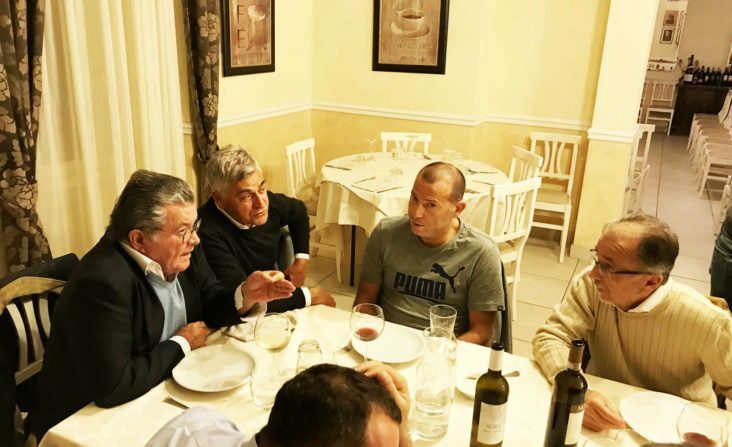 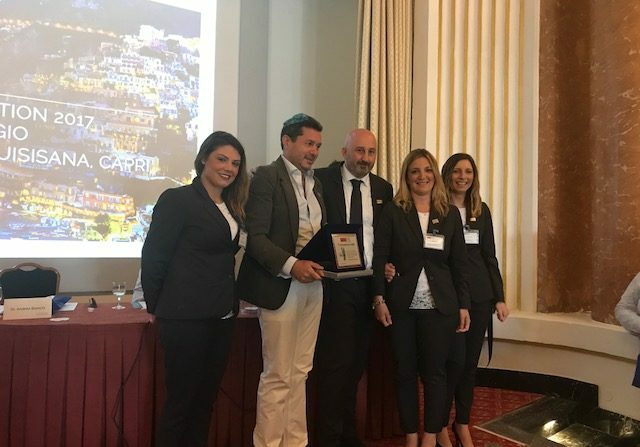 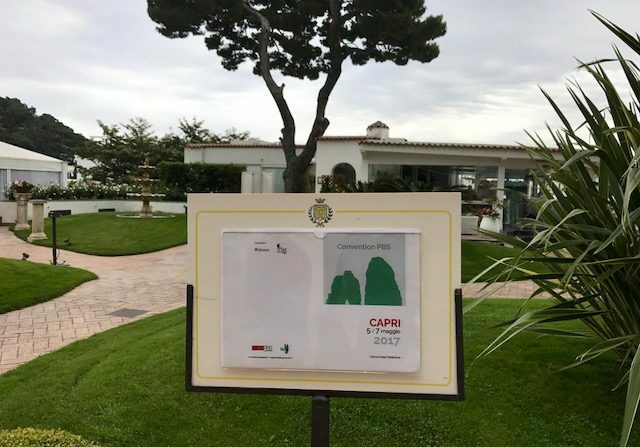 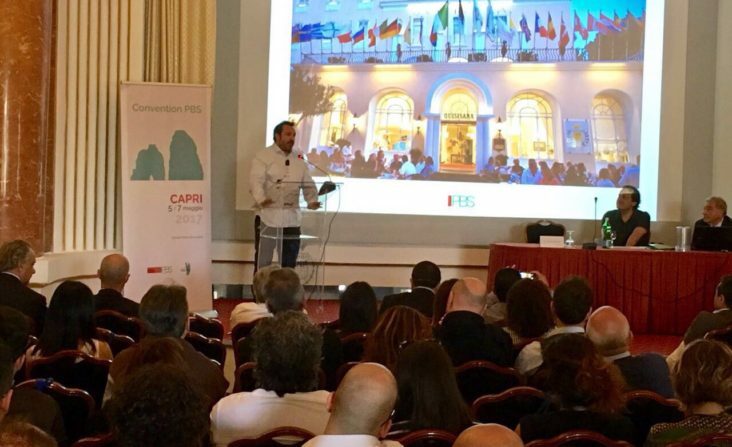 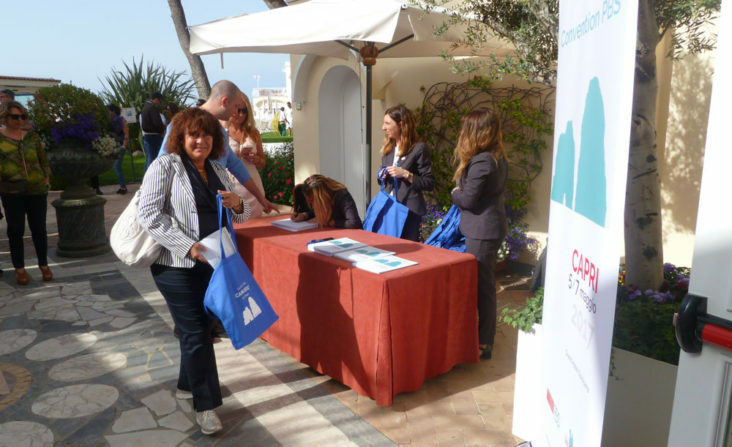 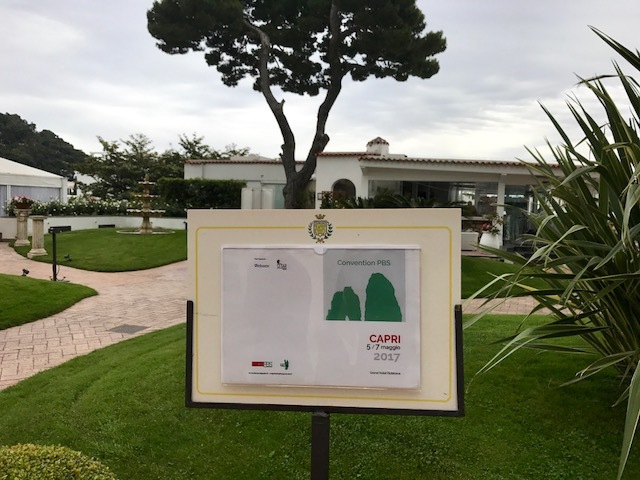 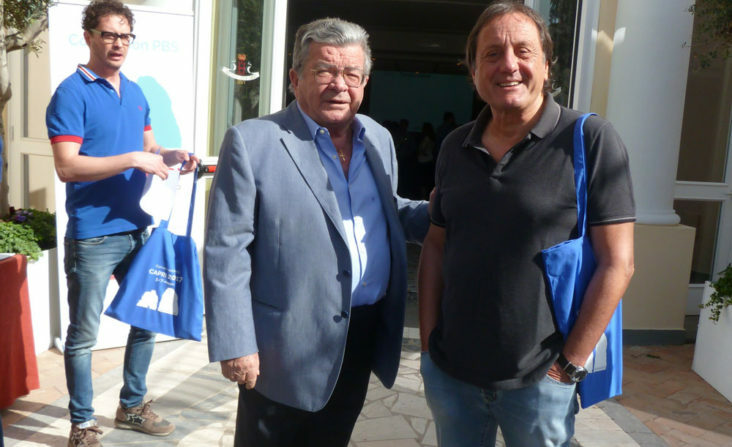 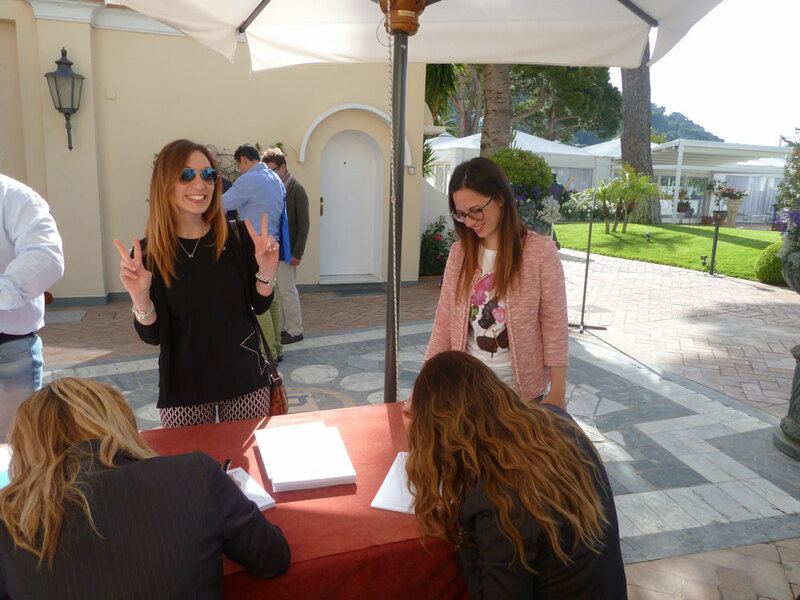 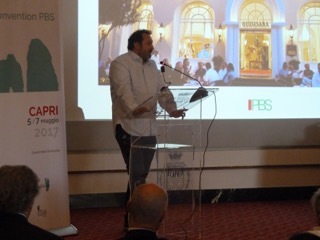 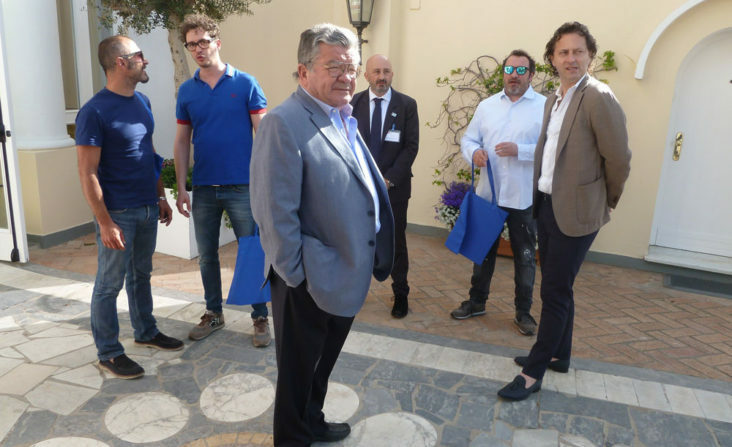 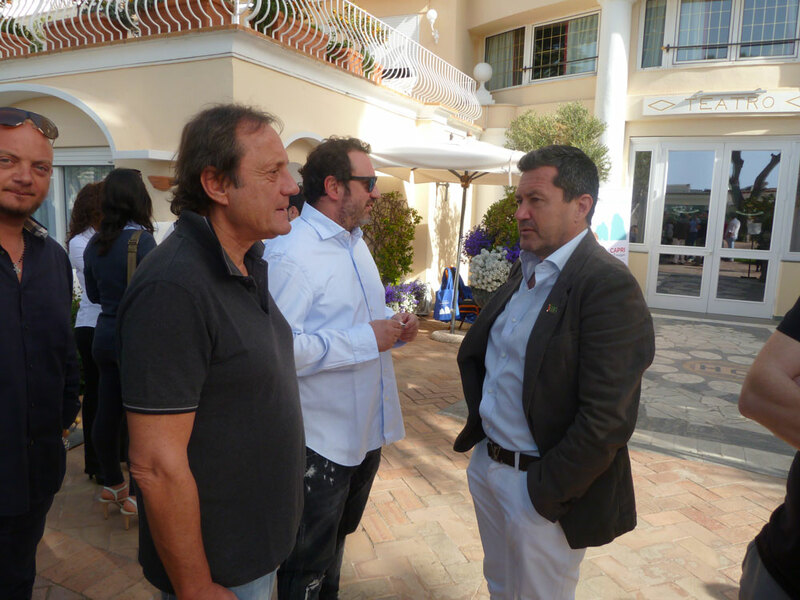 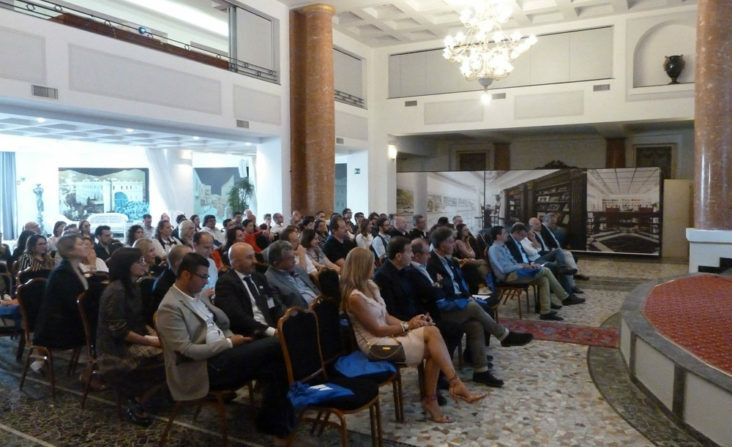 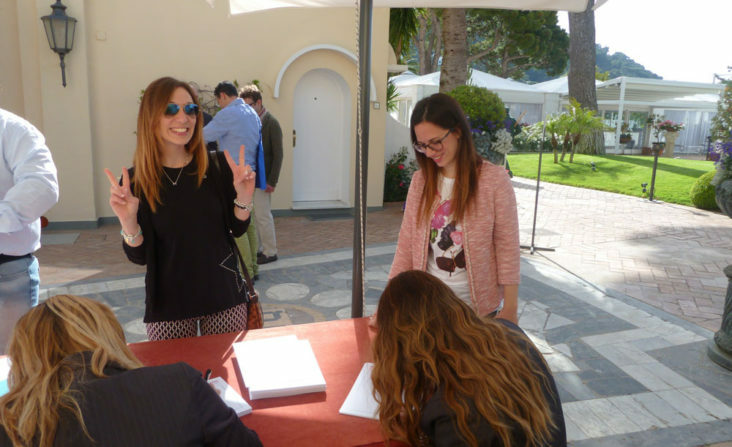 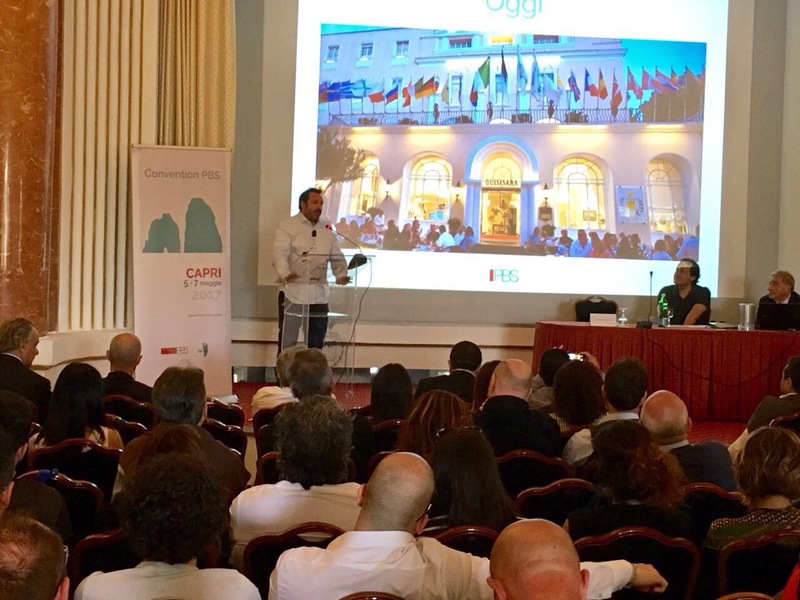 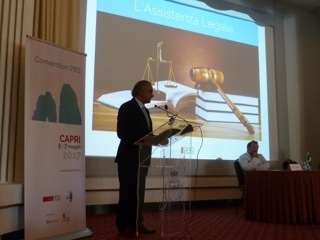 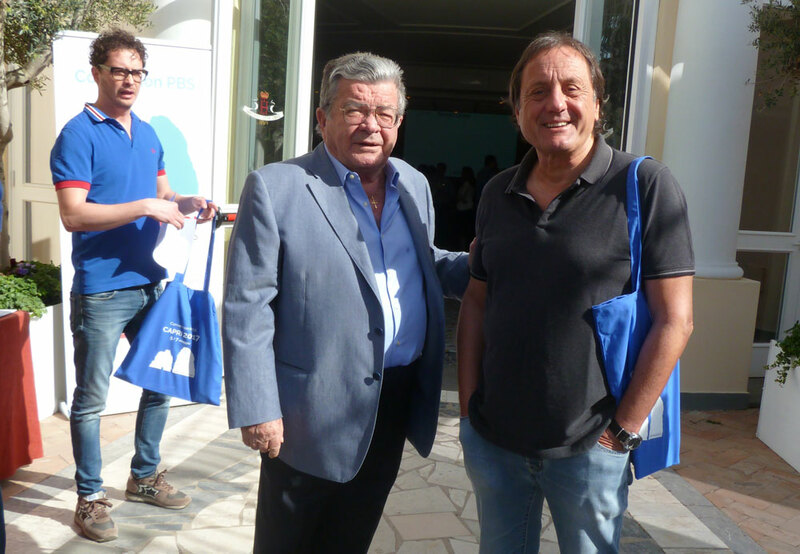 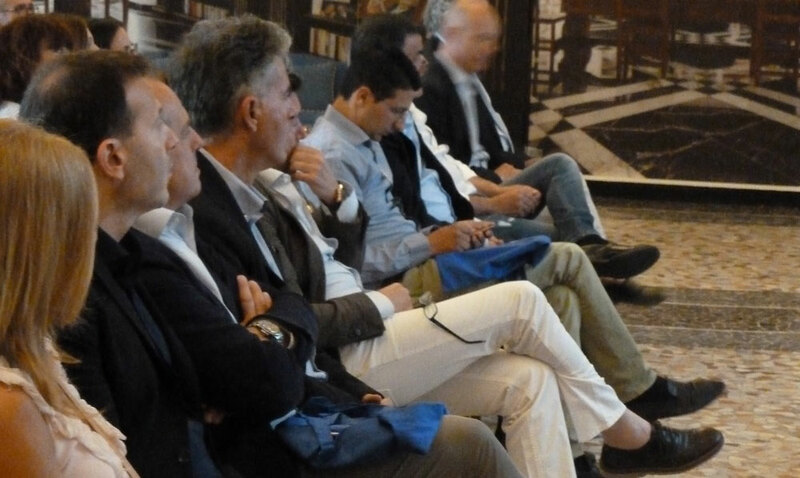 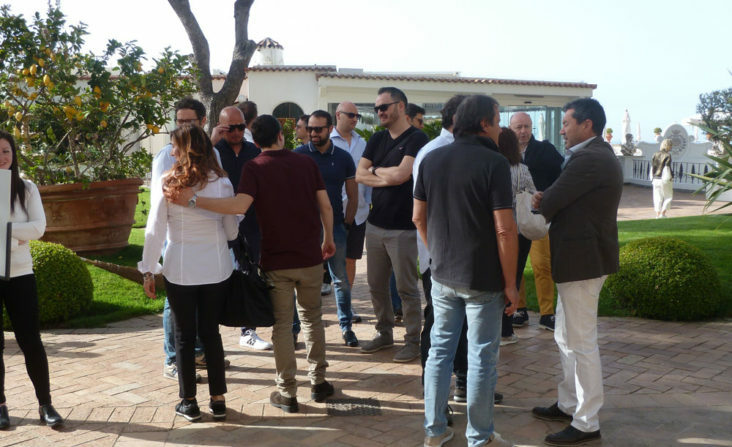 PBS has announced its annual Group convention in Capri. 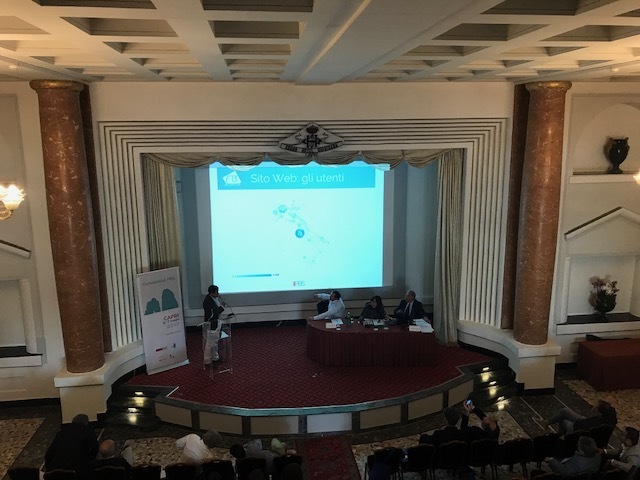 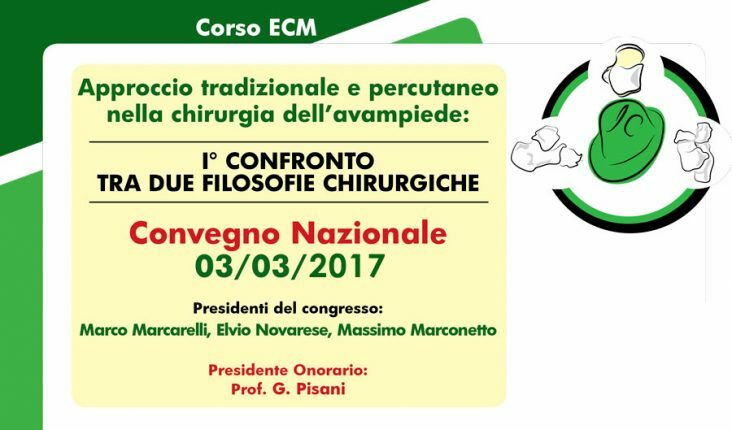 PBS surgeons took part in the national conference “The traditional and keyhole approach in surgery of the forefoot: 1st comparison of two surgical philosophies”, held on 3 March 2017 in Turin. 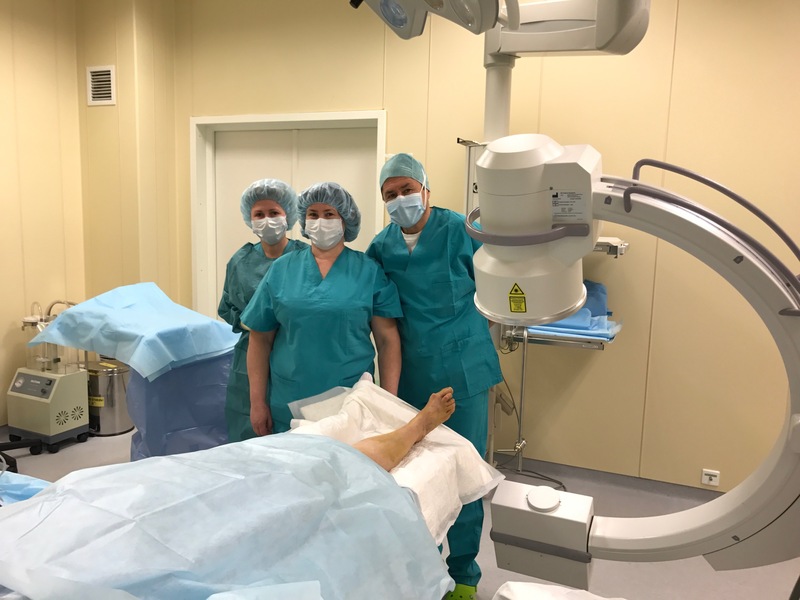 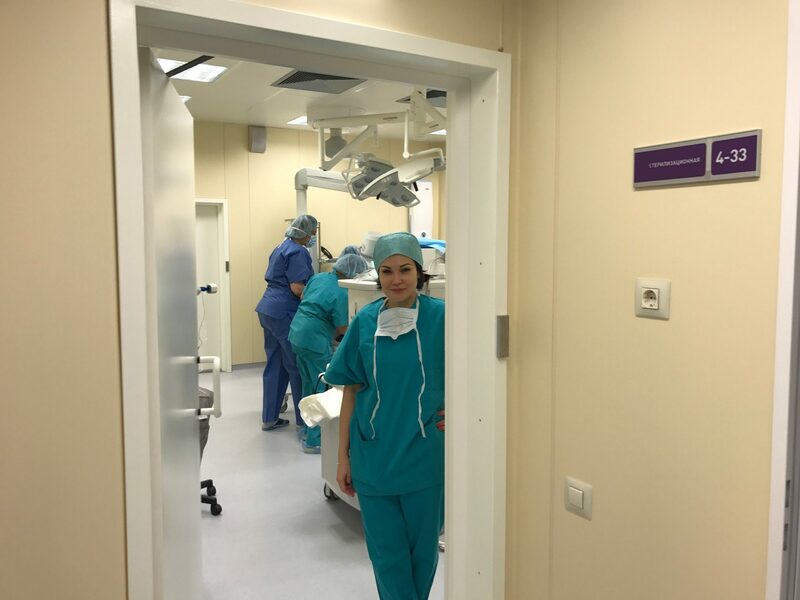 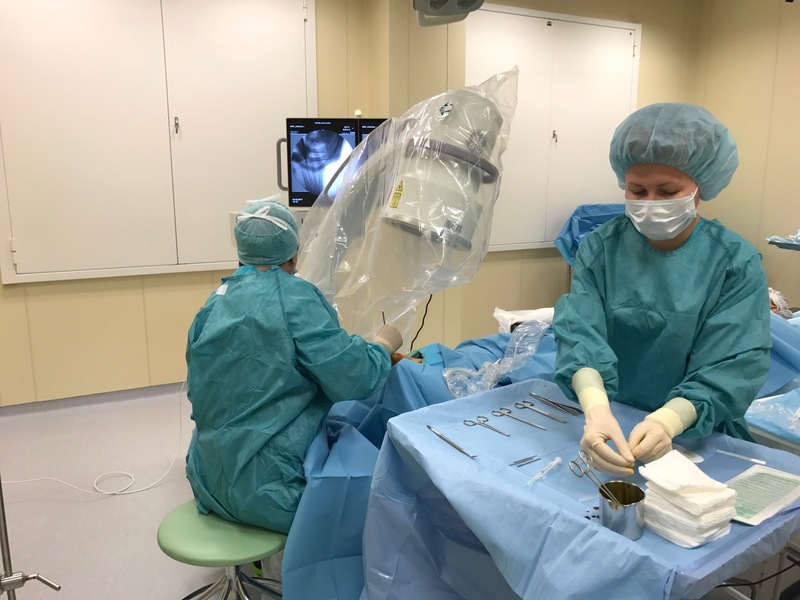 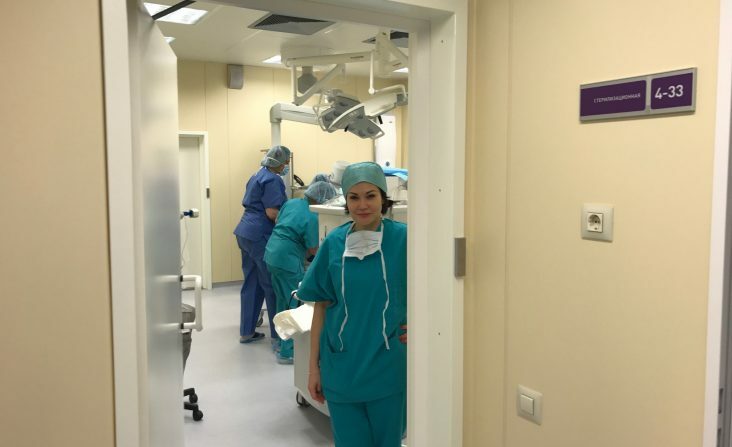 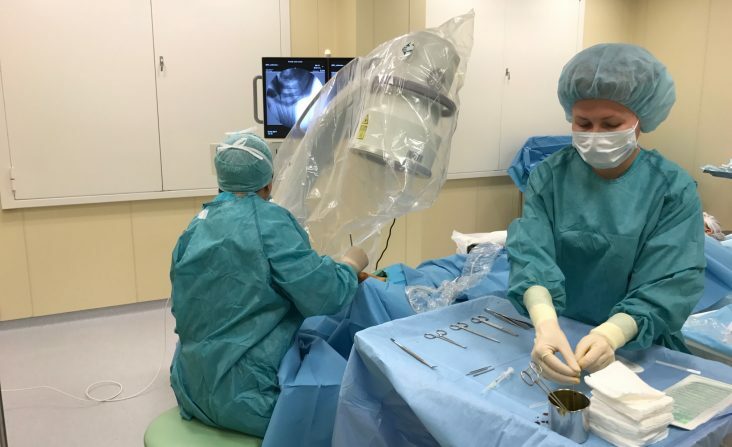 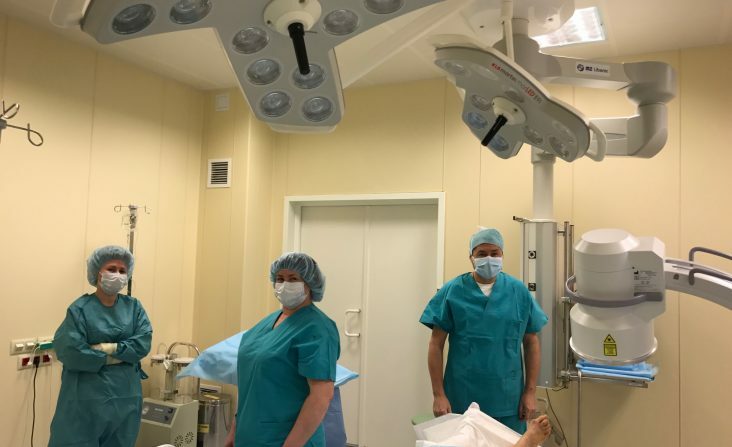 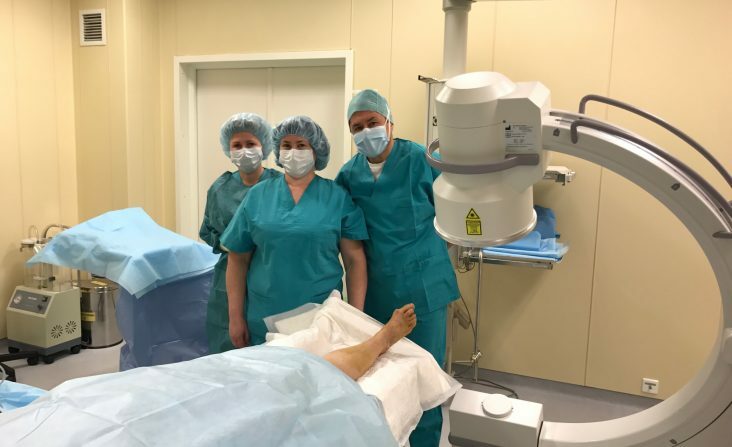 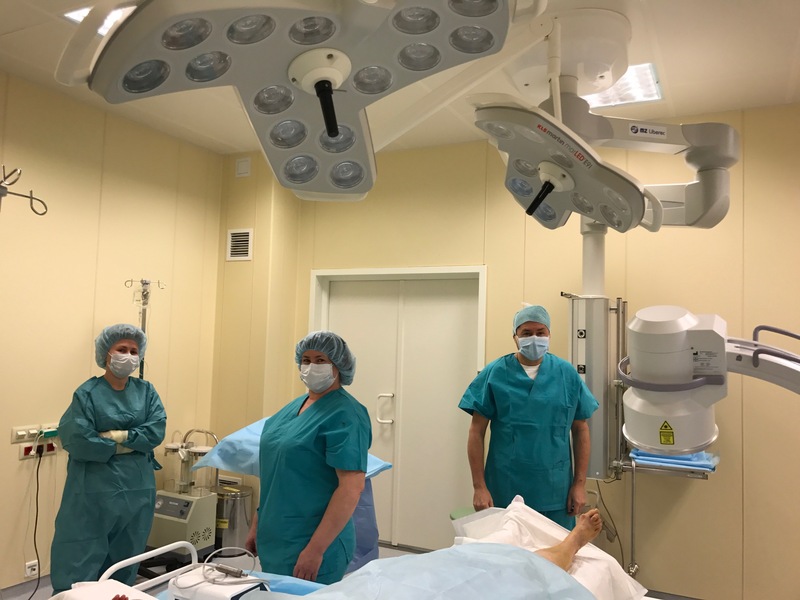 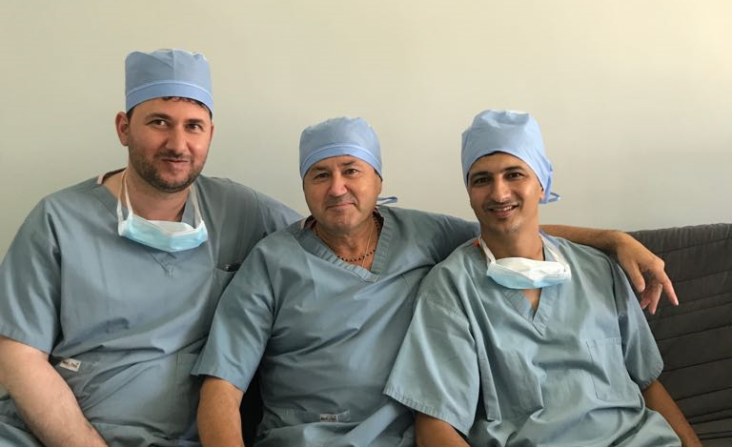 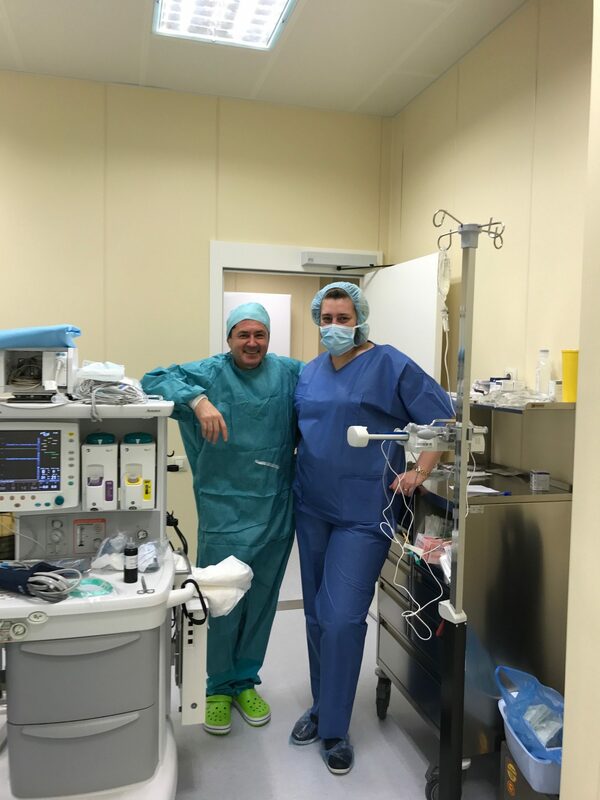 Last week, the PBS doctors, Dr. Andrea Bianchi and Dr. Evgenia Zaytseva, went to Moscow where they held appointments and carried out corrective surgery for Hallux Vagus. 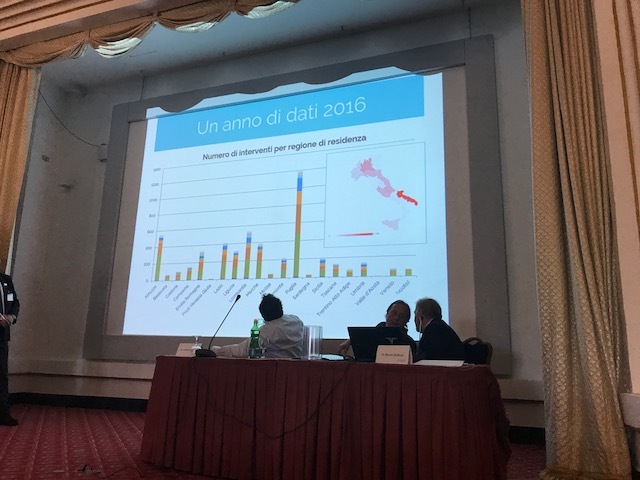 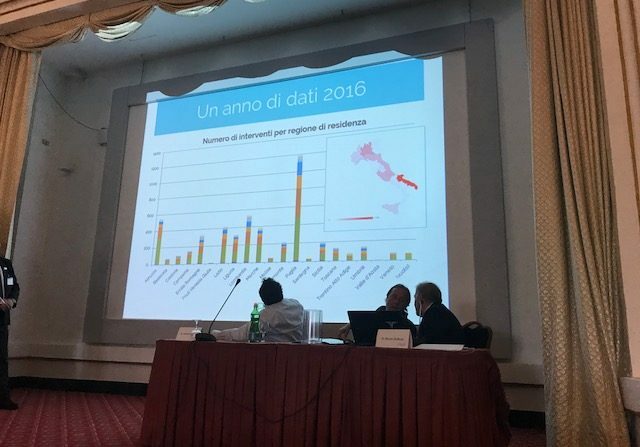 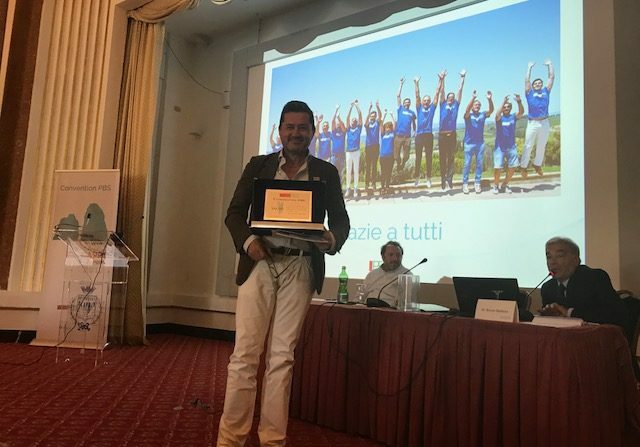 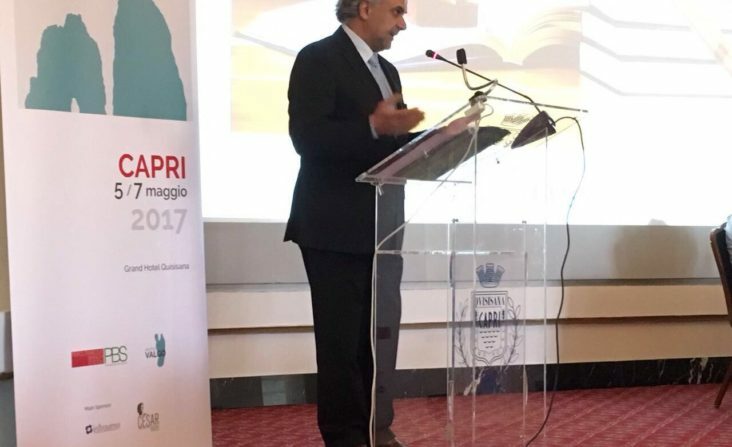 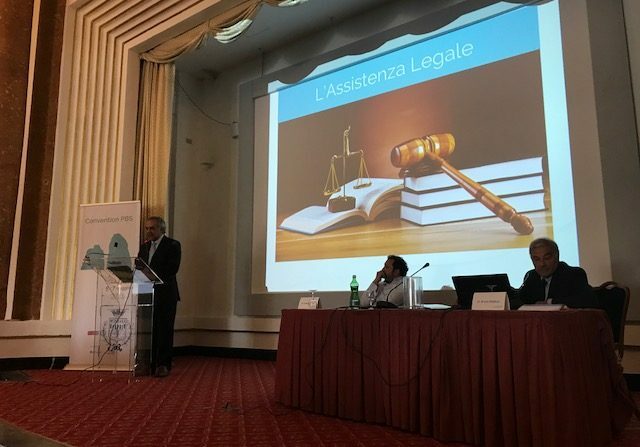 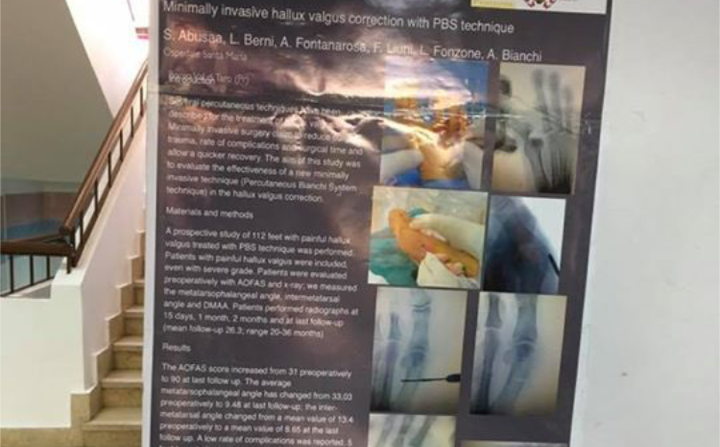 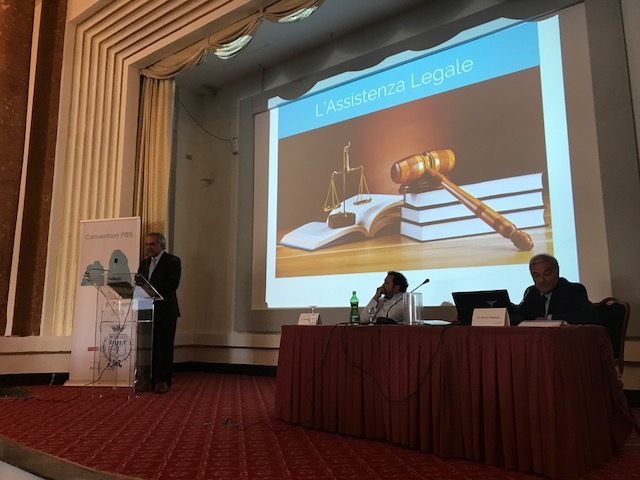 It is not just the Italian scientific community to show an ever increasing interest in the PBS surgical technique. 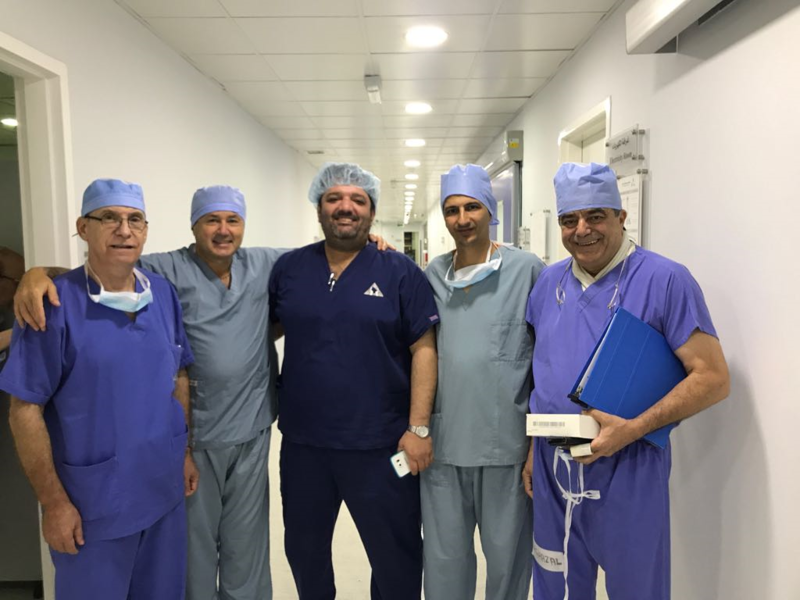 In fact, the PBS group of Dr. Andrea Bianchi not only carries out surgery in other countries, such as Russia and Egypt. 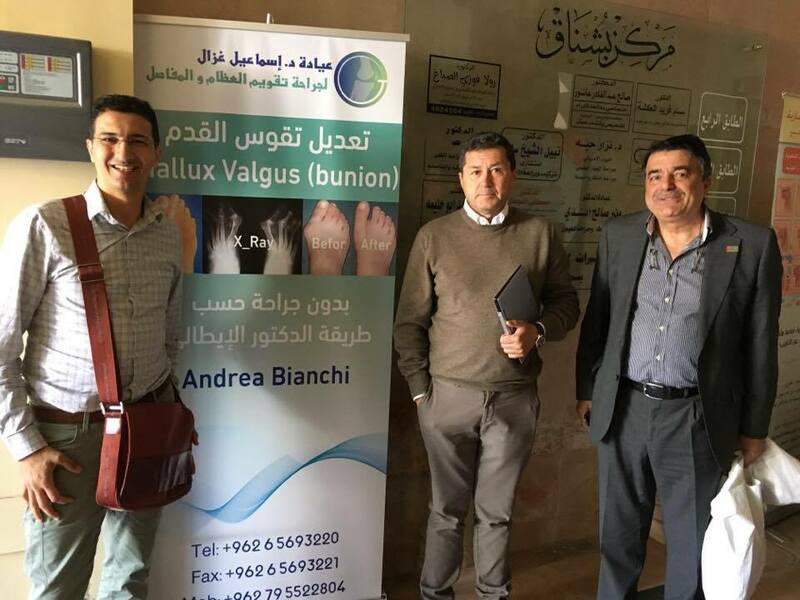 On 3-5 November 2016, it also took part in an interesting, international conference in Dubai entitled “Joint Reconstruction Middle East 2016“. 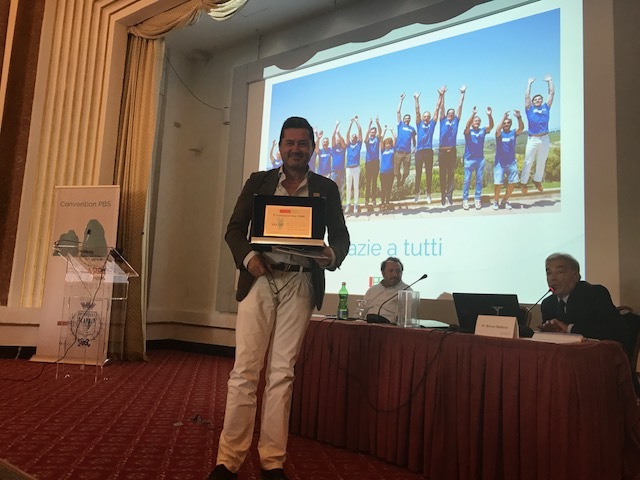 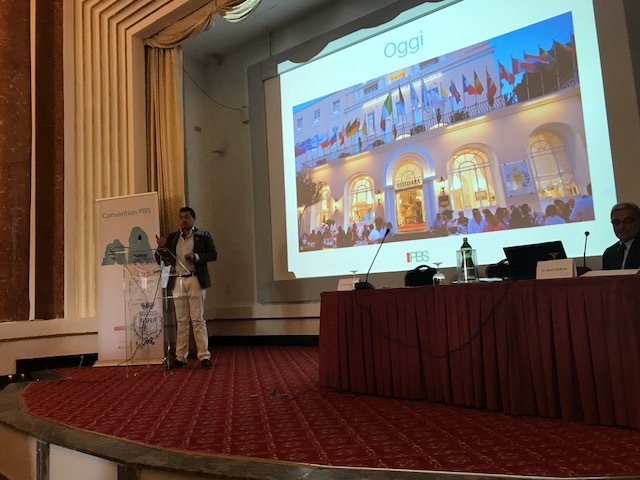 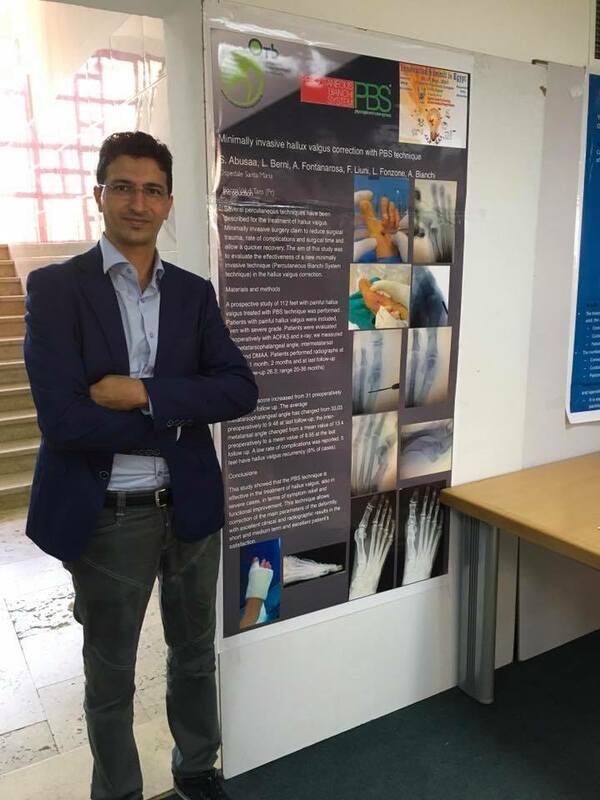 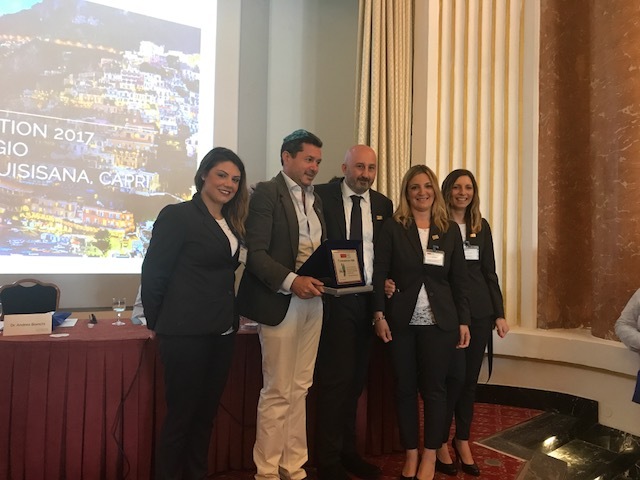 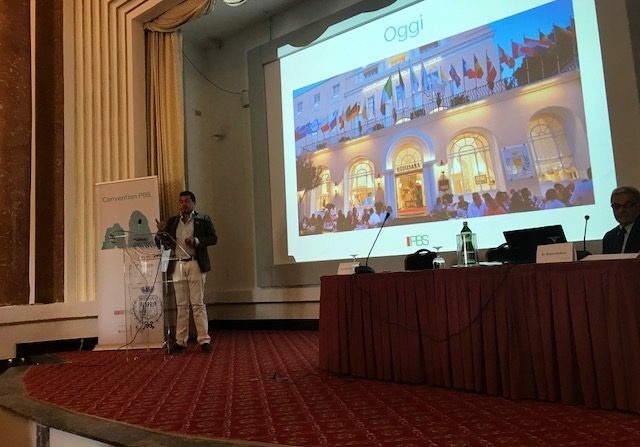 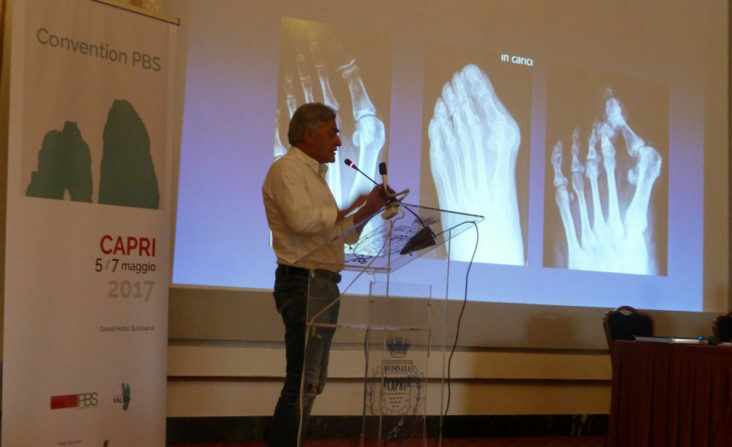 Dr. Andrea Bianchi presented an interesting and much appreciated report on the topic of the “Percutaneous system for hallux valgus correction (surgical technique and result)“. 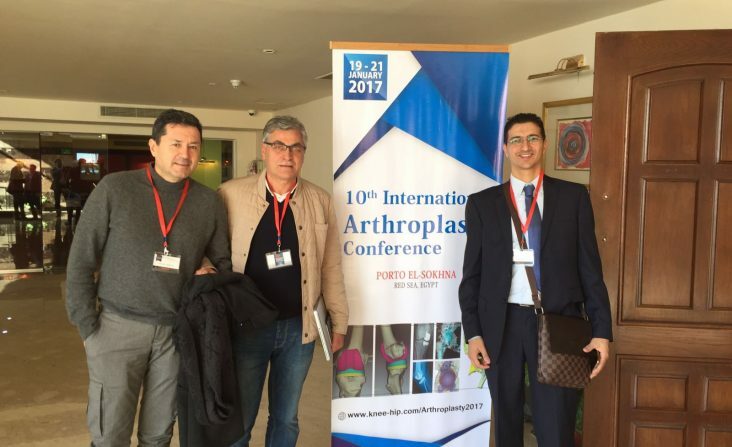 From 19-21 January 2017, the PBS group took part in the international congress “10th International Arthroplasty Conference” held in Cairo, Egypt. 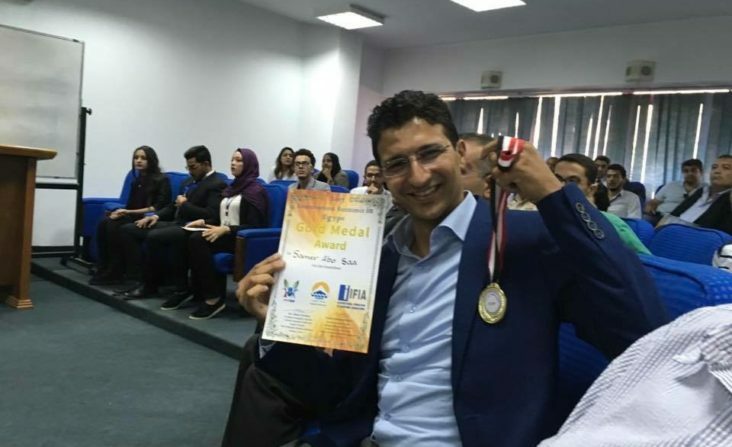 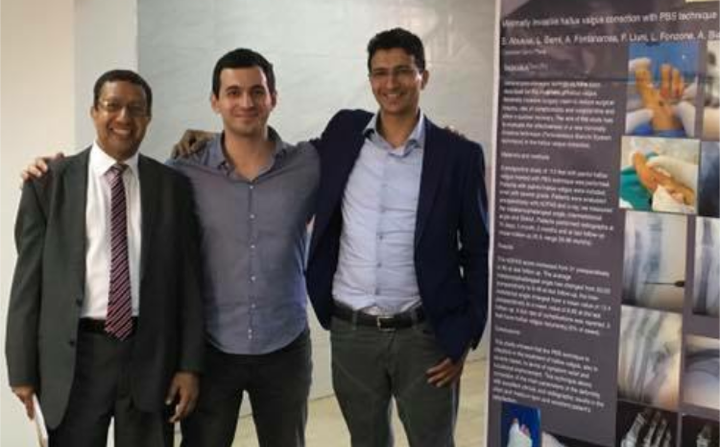 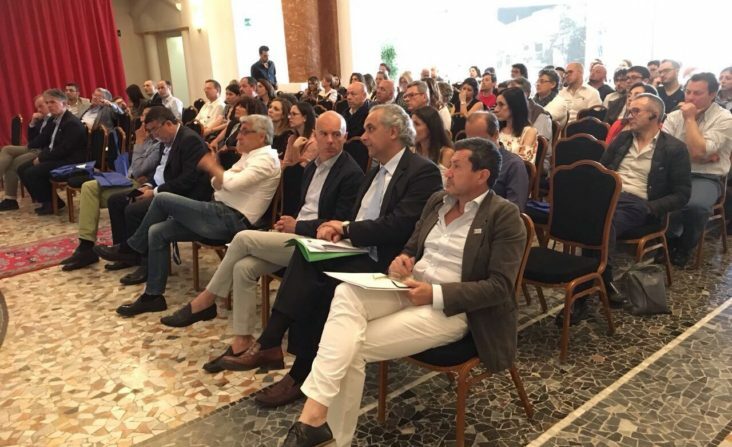 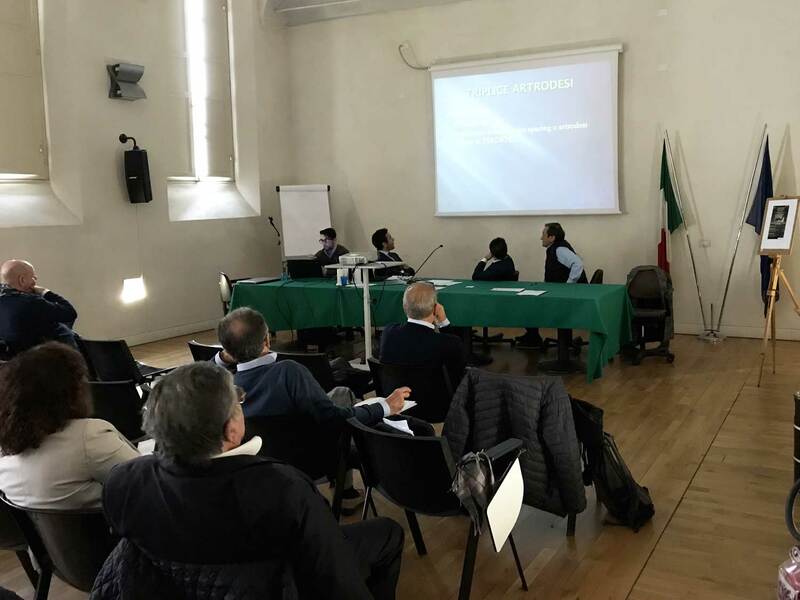 Dr. Andrea Bianchi, Dr. Stefano Ferranti and Dr. Abusaa Samer presented some interesting reports regarding the pathology of the forefoot and Hallux Vagus in particular..